It’s a one pager this week i’m sure ye’r thrilled to hear that anyway!.. Video up this week again.. Bit of a special one this week.. Not many new releases in it.. Just a sneak preview of Record Store Day release wall to get you excited for tomorrow morning!! 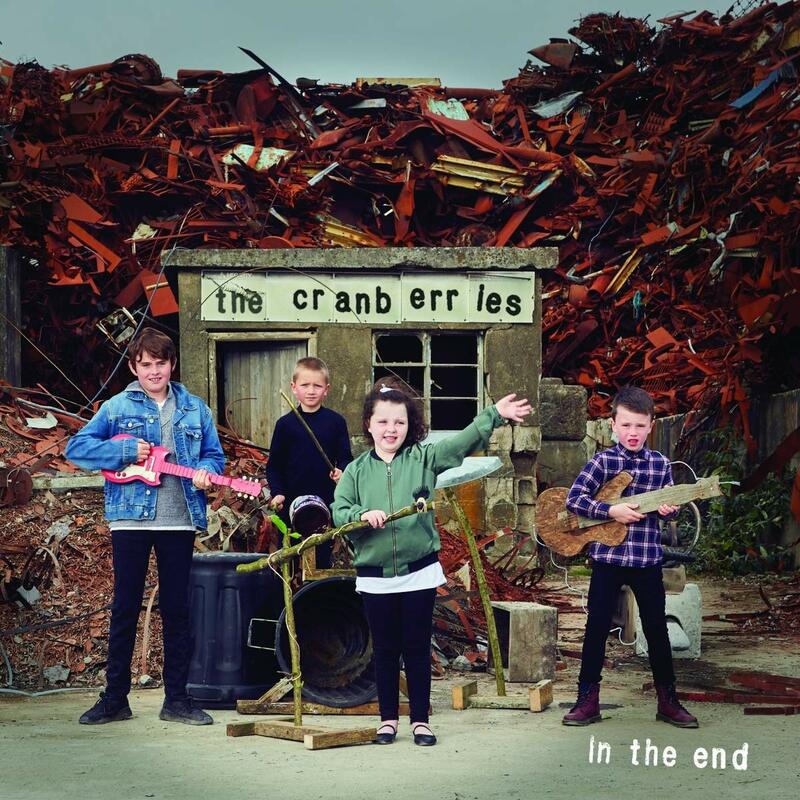 Just going to rattle off releases for the 19th of April..
CRANBERRIES last ever album (indies only), and also new albums by LOYLE CARNER, DRUG DEALER, NOUVELLE VAGUE, GANG OF 4, CAGE THE ELEPHANT, FAT WHITE FAMILY and GRAND MAGUS… Reissues on the 19th by ELBOW, BLIND FAITH, CARNAGE, STEVIE NICKS, ROY HARPER, SCISSOR SISTERS, SKELETON WITCH, ALTERBRIDGE and STATUS QUO… Lastly a new STONES compilation out “Honk” to pay for Mick’s op..
Bad news on one front folks… Going to be a rant next week so gonna keep it short here.. Don’t want to spoil it.. Really p*ssed off… Left down and not getting stock from The Orchard.. I’m really sorry.. Very very disappointed..
We will have none of the following.. The Fall “Imperial Wax Solvent”, Otis Redding / Booker T, Tangerine Dream… I’m really sorry. We pushed and we pushed for our order in the last 2 weeks, so we are getting a couple of copies of the following titles, but they won’t land in with us until Monday and won’t have many.. 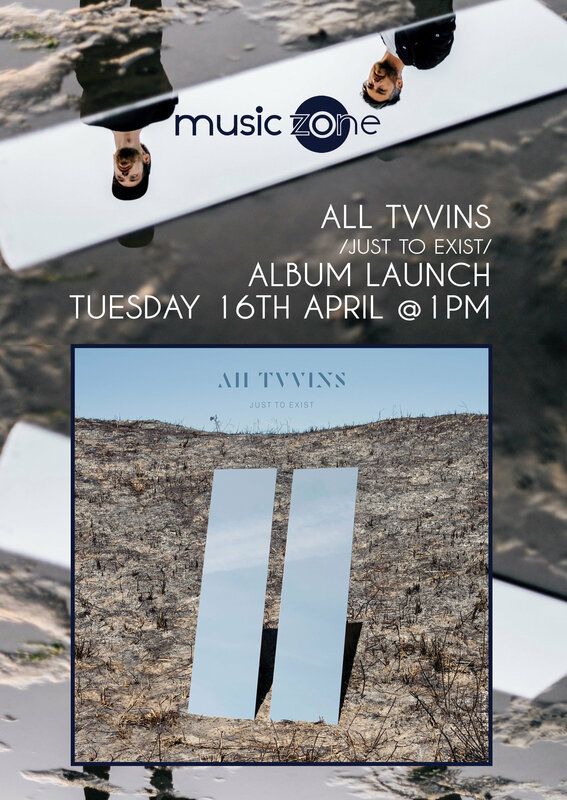 These titles are Roy Ayers, Al Green Singles Box, The Residence, Townes Van Zandt..
And finally for this week again folks, delighted to welcome back the brilliant ALL TVVINS back to the shop this coming Tuesday, April at 1PM to sing, and sign their cracking new album “Just To Exist”. Had it blasting all day and sounding great again.. 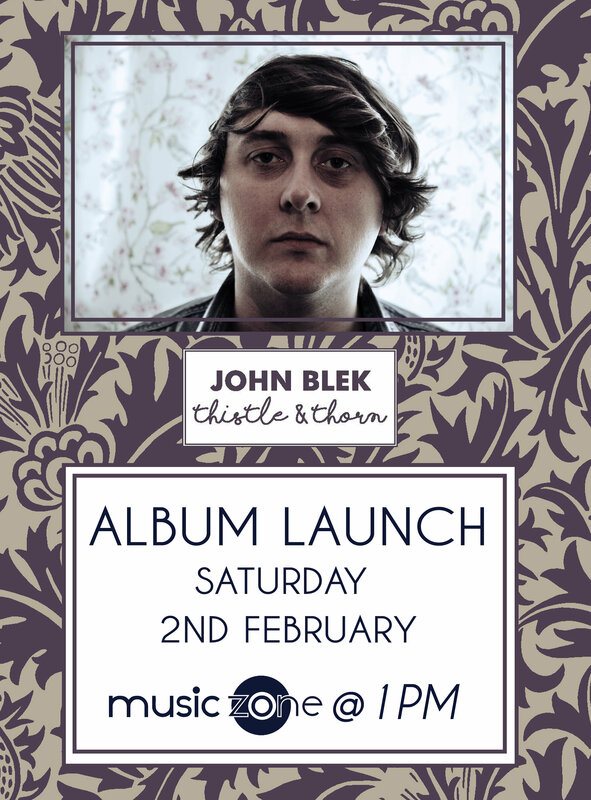 If you can’t make it give us a heads up if you want a copy of the LP or CD signed.. If you can make it in we’d love to see ya! Sin é for this week.. This time two weeks it’s RSD Eve and it’s full on from here on in now… I haven’t heard of many more major problems but there will be loads of little one’s in the next fortnight and then Santa arrives and all is good in the world.. The next two cars we have lined up I personally have to say are two of my favourite Irish bands… Both bands are RSD veterans with us.. So we are delighted to welcome back IAN WHITTY AND THE EXCHANGE.. As good a wordsmith as there is around, back by three terrific musicians… Personally, can’t wait!! 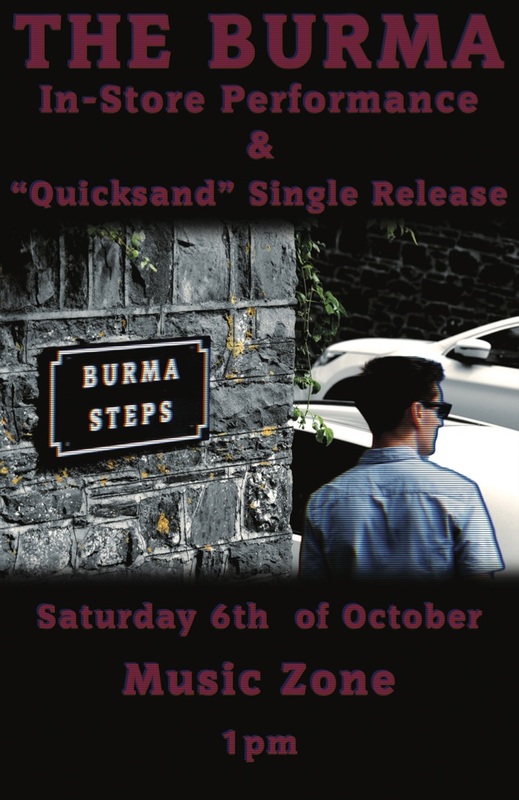 And RSD would hardly be RSD if we didn’t have some form or guise of THE SHAKER HYMN… The lads are quality.. Blue in the face from telling ye… So the lads are back and they are launching a new E.P. on the day also… As Lil Percy would say… Sweet!… Can’t wait.. The 5th act we can confirm for RSD 2019 is another new RSD act for us, and is the brilliant MARC O’ REILLY… We are big big fans of Marc here in the shop, he is a tremendous musician and we are delighted to welcome him… He has made some great music so far and is worth checking out! And last but definitely not least, the 7th act we will welcome into the siopa on the day.. Someone who has become a bit of a friend of the shop in the last few years.. 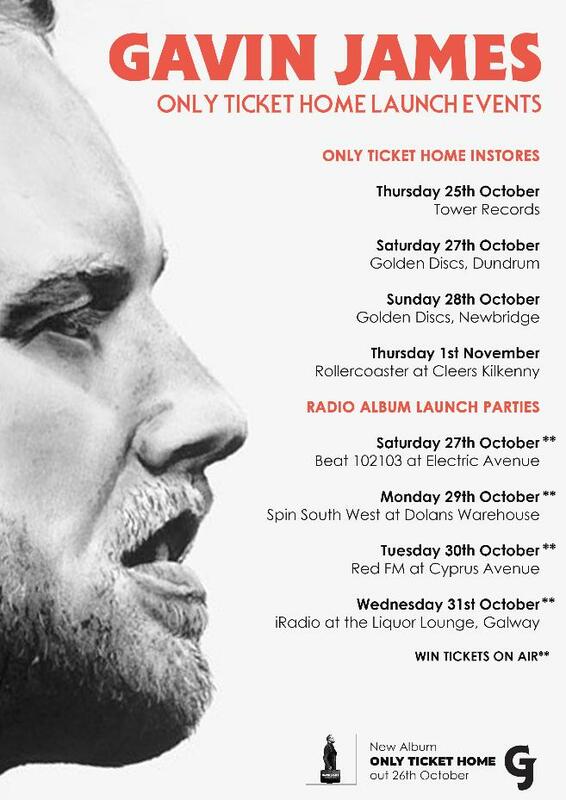 He was with us back when his first album was launched back in 2016, and we were delighted to be asked to work with him again in Cypress Avenue late last year for the launch of his second studio album “Only Ticket Home”.. He’ll be fresh out of his two sold out Opera House gigs, and we are delighted to have GAVIN JAMES in with us for RSD 2019… Really really thrilled, going to be very exciting!! So that’s it for the entertainment for now… Hope to have times for each act announced for next week… Sin sin for now.. We would love if you could get in and support us and the lads playing for us on the day, for a record and a cup of tea!! 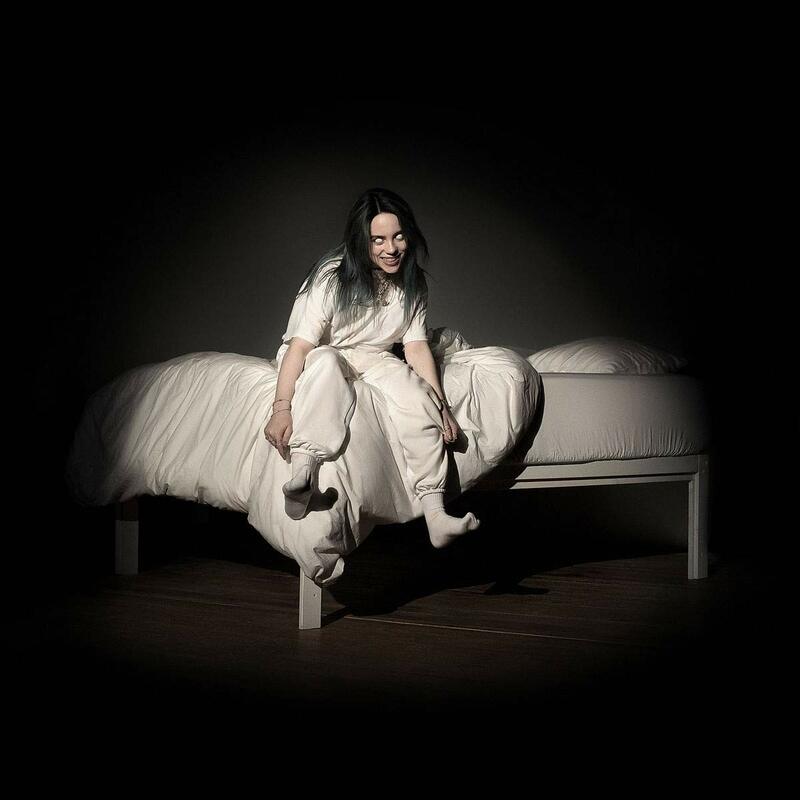 Right so, on to releases for the good yacht musiczone.ie today.. BILLIE EILISH‘s album was embargoed so only landed in this afternoon so nobody got it on the sneaky a day or two before release… Embargoes are good.. Makes the work, craft, art all more special… I have tortured over it.. 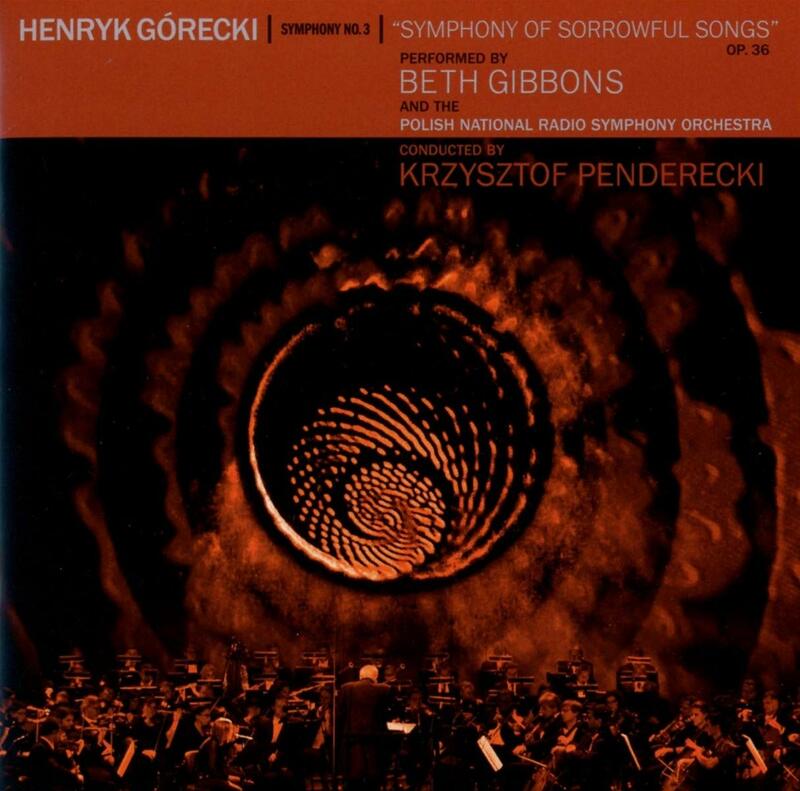 Please Respect it… I fully support that, it’s the way it should be..
Other releases today include the BETH GIBBONS performing Henryk Górecki’s Symphony No. 3 “Symphony of Sorrowful Songs”. Also out is new releases from WHITE DENIM, STEVE EARLE, JOACHIM KUHN, and reissues by KEITH RICHARDS, COCTEAU TWINS, FRANK ZAPPA, MOTORHEAD, MARVIN GAYE, THE CONGOS, LOVE UNLIMITED, SPARKS, and a new KISS compilation vinyl release. Video up again for you all here! Be sure to subscribe to keep up with all the comings and goings! So on to releases for the 5th of April, we’ll start with (not exactly a stunning week of releases.. 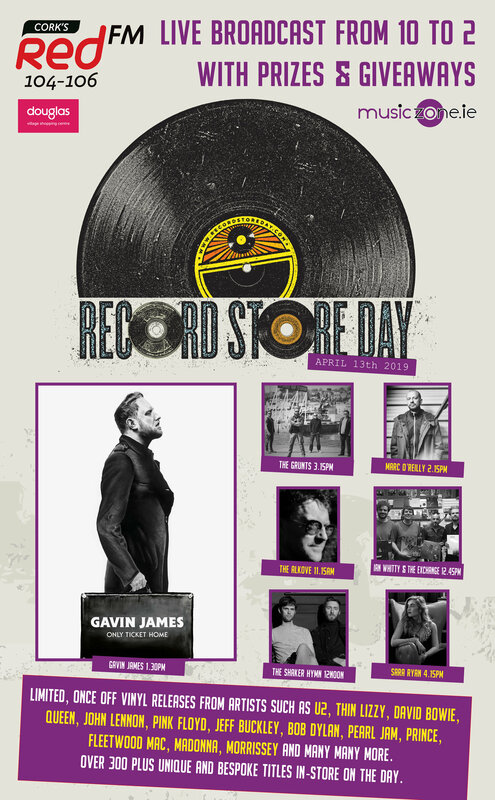 But the week after, the 12th, I’ll need a book.. Savage stuff the day before RSD… Savage.. 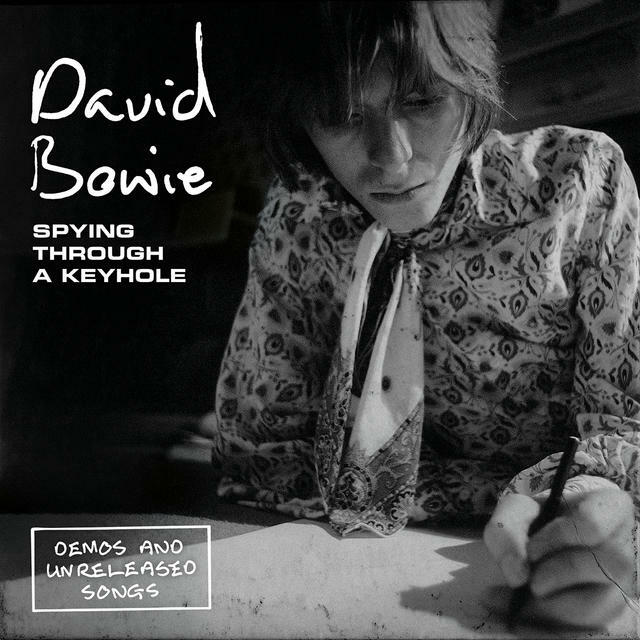 I suppose people will be in Record shops so get the releases in… It’s cracking on the 12th..) Back to the 5th for now and I suppose the biggest release of the weekend is the DAVID BOWIE “Spying Through A Keyhole”.. 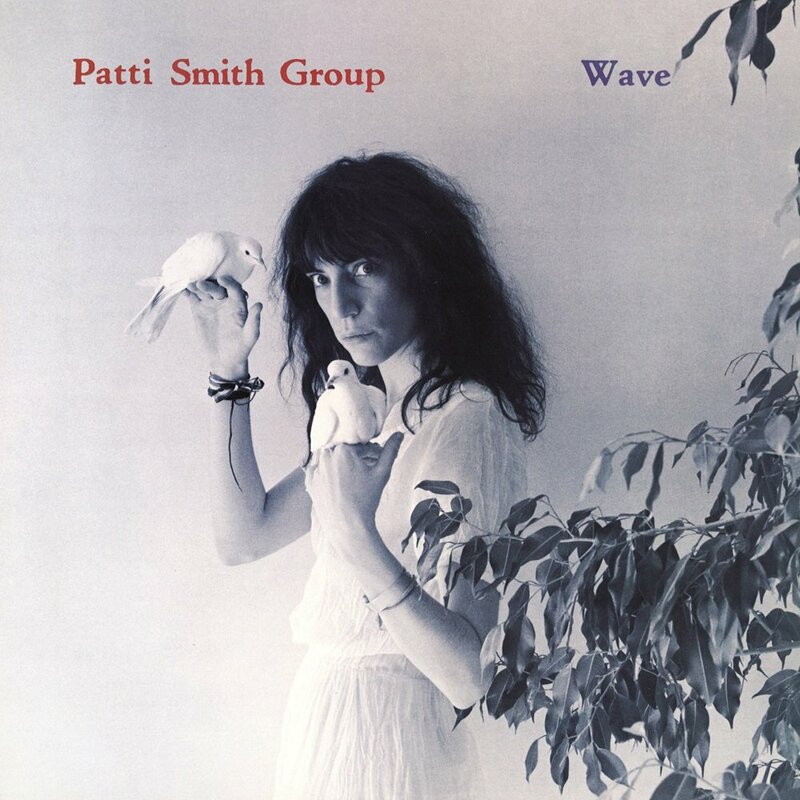 The title ‘Spying Through A Keyhole’ is a lyric taken from the previously unknown song, Love All Around, and though most of the other titles are known, these versions have never been officially released until late last year (see footnote). Most of the recordings are solo vocal and acoustic home demo performances, unless otherwise stated. Warner also has new albums by ELUVEITIE and DON FELDER (Eagle) and MIKE AND THE MECHANICS reworking of classics plus three new tracks.. Warner also have reuissues on LP from DAVID GUETTA and from MOTORHEAD again “Hits of Death”, “Motorizer”, “Better Motorhead Than Dead” and the Live 4LP set, “Inferno” and “Hammered”. 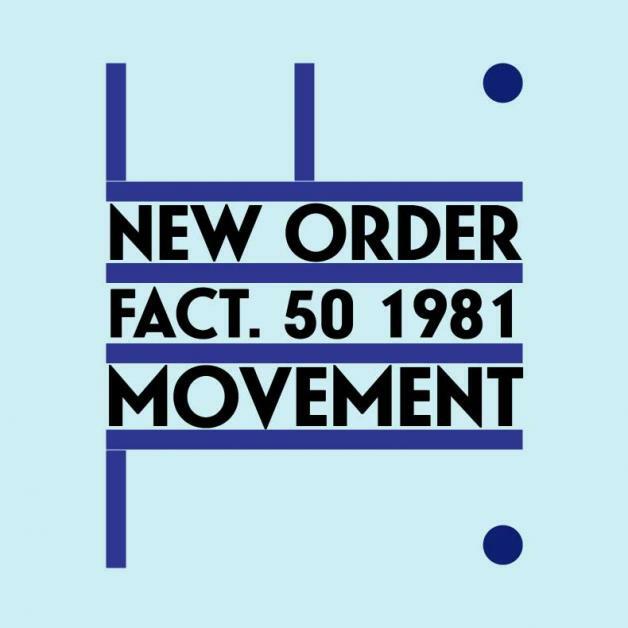 Lastly from Warner is the NEW ORDER “Movement” boxset which includes the LP, CD . 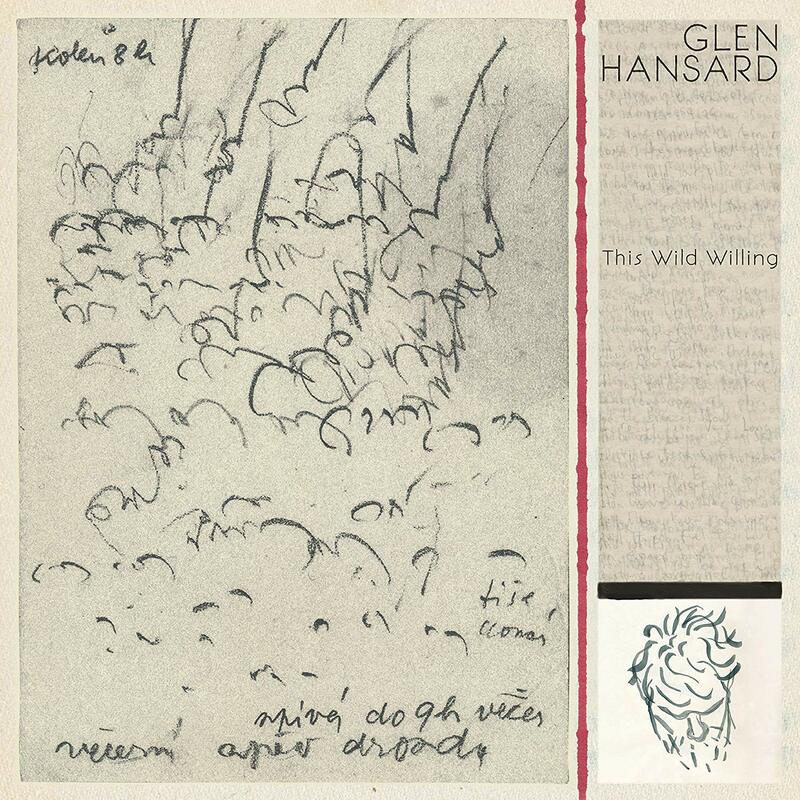 Bonus CD of 18 completely unreleased tracks, a DVD of live shows + TV Appearances, plus a 48 page hard back book with a lift off lid box.. €100 best price pre-order job on this..
Universal for the 5th of April have a solo record from TYLER RAMSEY lead guitarist and cowriter with BAND OF HORSES… PROFESSOR LONGHAIR “Live On The Queen Mary” gets a CD and LP release.. OUR PLANET OST is also out on CD and LP and there is a reissue and 40th anniversary edition of THE SLIT’s album “Cut”.. Lastly from Uni for the 5th of April are some 3CD essential Jazz sets by WAYNE SHORTER, HERBIE HANCOCK, JOHN COLTRANE and KEITH JARRETT..
Sony for the 5th of April have new albums on CD only by KHALID, SARA BAREILLES and BROOKE + DUNNE..
Start this on a Thursday evening as most are well aware, and it get’s finished in the siopa by the lads on a Friday.. 24 hours since scribbling and unfortunately there’s been a change on there being no problems with RSD.. Unfortunately we have run into some today..
Tá brón orm.. Truly tá brón orm.. but we have been cut on a few bits…. With Sony, the PREFAB SPROUT and BILLY JOEL are very very tight.. We have just enough for the demand.. But could sell out quickly on the morning.. Early worm for those two if you are wanting one.. Sorry..
With PIAS we had a good few cuts.. EDITORS, JOHN GRANT, the SOUL JAZZ 7” set, and THE CHARLATONS set, are all big problems for us.. Cut hugely.. Will be first come first served with these and we are sorry… The last two from PIAS unfortunately we got 0 allocated of the JEAN CLAUDE VANNIER and 0 allocated of the NASRAT FATEK ALI..
Again, we are very sorry… If there are any more changes good or bad we will let you know over the newsletter again..
Wafting, RSD Wishlist Deadlines, Keith Flint and O Emperor. How’s the form? Releases in the shop today include new albums by EB THE YOUNGER, SIGRID, FOALS, and the vinyl pressing of the recent DAMIEN DEMPSEY album. A nice compilation from legend TOM PETTY. 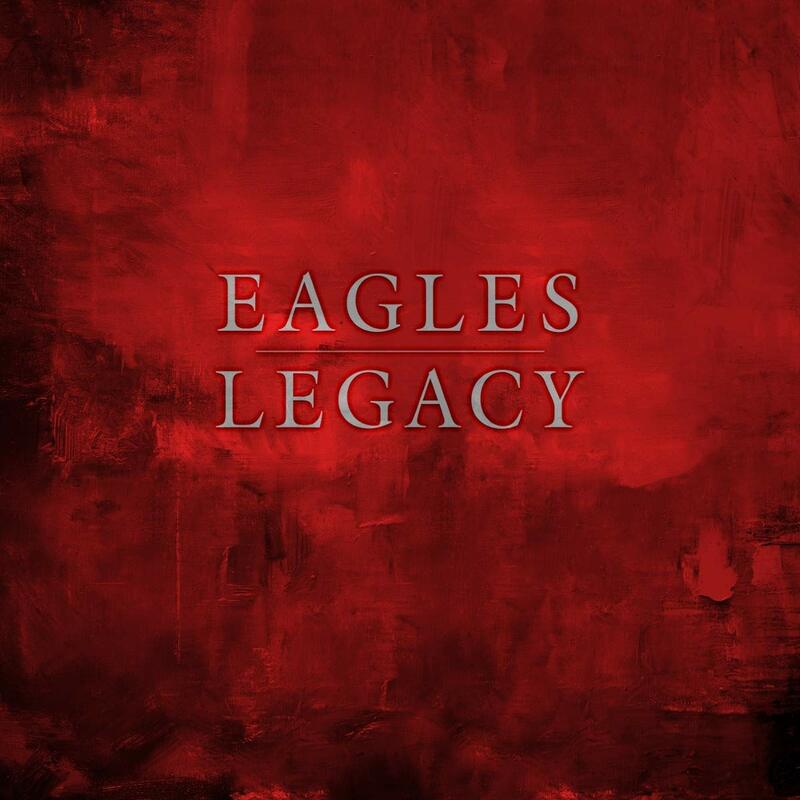 New reissues are in from THE EAGLES, NEW ORDER and LUCINDA WILLIAMS. PAUL WELLER has a new live album also out. Video up for this week again for you, check it out here and be sure to subscribe! Moving onto releases for the 15th of March, but first RSD is upon us here so hence it’s upon ye guys out there. Yer help and support are (as always) gratefully appreciated. The UNIVERSAL RSD titles ye are interested in need to go back to me tonight Friday March 8th and all the others need to be back to us by Wednesday the 13th by around lunchtime please!! I need to get my orders up very soon after…deadline noon or high noon if you prefer on Friday the 15th of March for all companies except Uni which is even earlier! So if you are interested in something or somethings please email us before deadlines with ARTIST/TITLE/RECORD COMPANY…3 things…the record company bit is a great help to me if you can with ARTIST/TITLE…about 500 titles available to me across 15 record companies so you folks sending record company with ARTIST/TITLE is a huge help and stops me trawling through 15 lists for your wishlist one…I don’t know them all off by heart like…only maybe half them…ARTIST/TITLE/COMPANY. We/Ye know stock is limited and can be cut…but as always we will do our best but we cannot keep anything or promise anything but we will do our very best…that’s a promise. 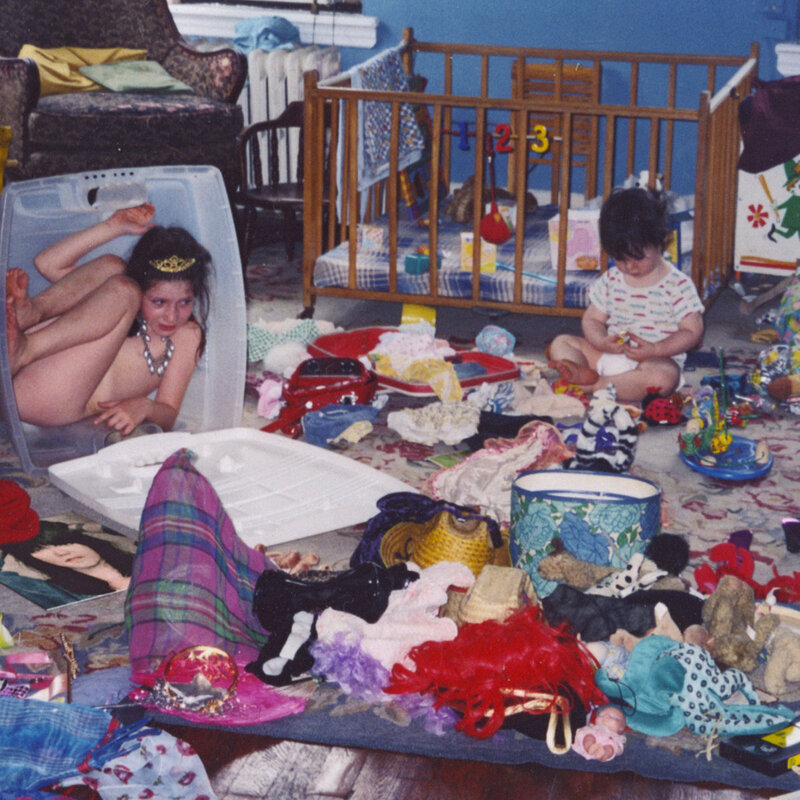 Sending the wishlist is a huge help to us…Sound!! Class dismissed!! One last thing on RSD for now…it has flaws…granted…prices, ebayers, pressing plant problems and delays among them but from where we sit it is comfortably our best day of the year…it is a boost to us if the buying is right (hence the wishlist request), it is a celebration of our existence…it’s probably our favourite day of the year on the shop floor…usual scenario this year…goodies in the queue…bit of craic…loads of quality live music…we love it…Sin e for now on it anyway. Back to releases for the 15th of March so, FRANCIS ROSSI + HANNAH RICHARD have a brand new studio album on CD of county songs. UB40 have a brand new album ‘For the Many’ on CD, 2CD or LP. 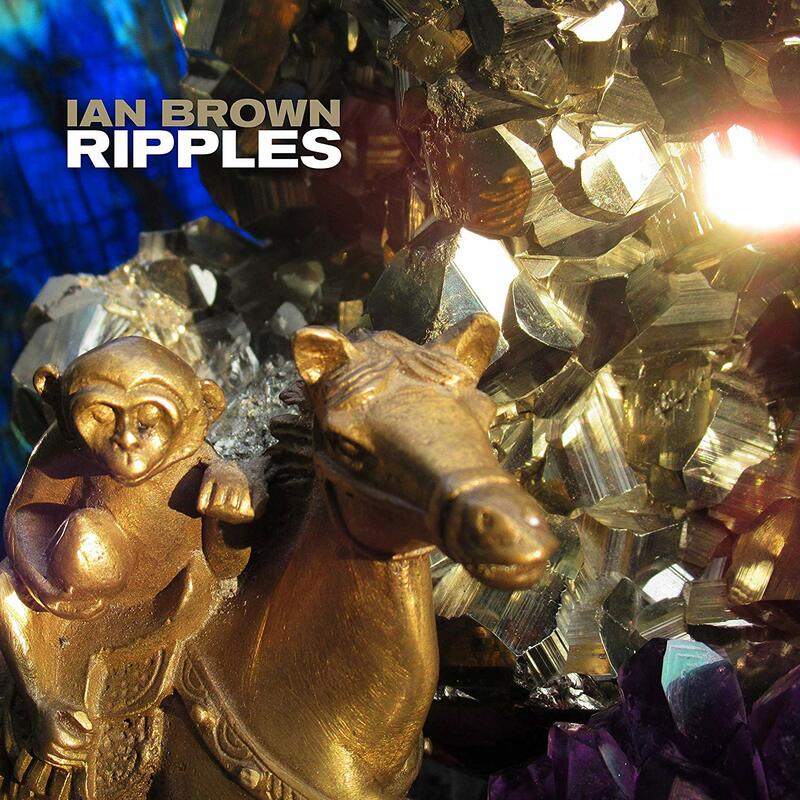 First new album in five years with all original songs. 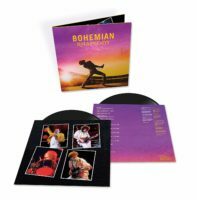 Both of the above releases are on Universal, as is a new FISHERMAN’S FRIEND CD, a new live album from FOREIGNER on Eagle Rock across a waft of formats and there is a new NAT KING COLE ‘Ultimate’ CD released (LP to follow on 14th June) as well as YG ‘My Krazy Life’ ltd dlp release. Probably the most interesting one from UNIVERSAL for the 15th of March from their waft of releases…waft…where did that spring from… I must google it…I thought it meant plenty or quantities…but in Cork slang it means ‘there is an unpleasant smell generally ‘off him boy’. So I just googled it…’scent or sound that passes gently through the air’…anyway probably the most interesting release from from Universals copious releases is the new one by LUDOVICO EINAUDI ‘7 Days Walking: Day 1’…CD only for now…you will hear that wafting from the shop next week…give it a rest Ray. Lastly from Uni are CCR half speed LPs, 50th anniversary remastered of the self titled album as well as ‘Bayou Country’…exspensive, best best I can do is €38 if anyones interested. SONY for the 15th (it came in today actually) is the vinyl release of the Damien Dempsey album ‘Union’…fine listen and they also have a new HANS ZIMMER ‘World Of’ CD release. Terrible sad news about KEITH FLINT during the week again…how many times have we mentioned young men…famous musicians, who have lost their lives at their own hands…I just find it terribly sad and surely there must be more funding, more research put into it…we all need to try and understand it more…Keith was by nearly all accounts, in fact all accounts was supposed to be an absolute gent, it was about the human being and not who the human being was perceived to be…and to pair with that one of the best frontmen of the last 30 years…RIP Mr. Flint. 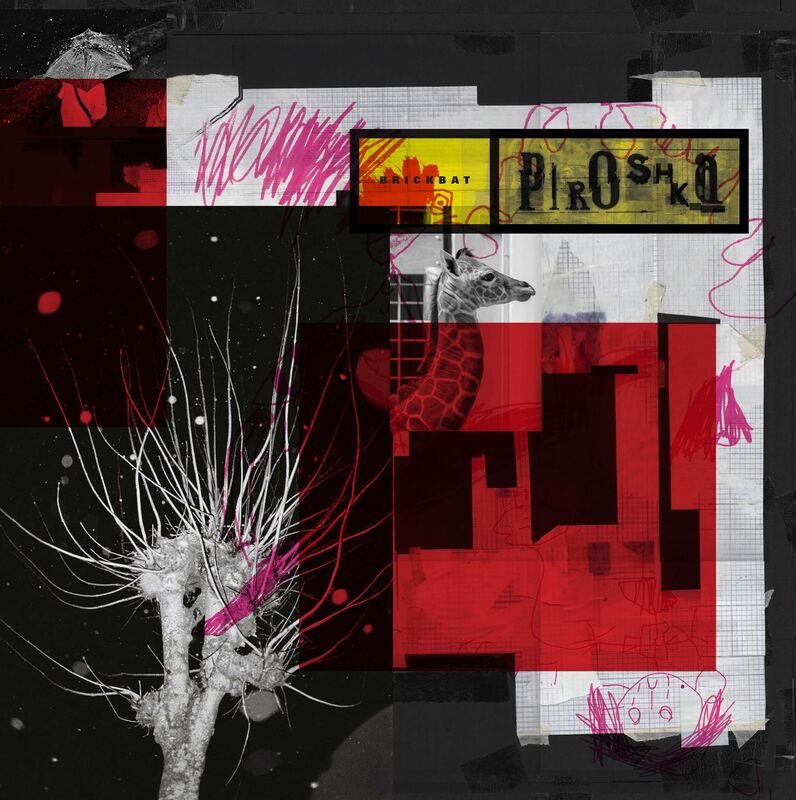 WARNER for the 15th March have a new album out by KAREN O + DANGERMOUSE on CD, LP or Indies only LP ‘Lux Prima’ it’s called and it could be an interesting one. 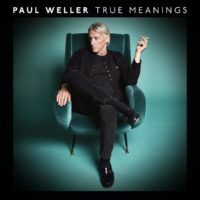 WARNER also have the next in the NEW ORDER 12”s…this time ‘everythings gone green’ as well as a new album by the DROPKICK MURPHYS.’Gang All Here’..LP only on that one…new album also out on the 15th by JACK SAVORETTI as well as a reissue by ALPHAVILLE of the class ‘Forever Young’…what a tune…I have a story but for another day. 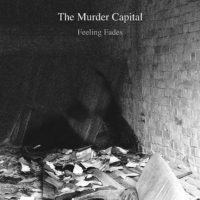 The MURDER CAPITAL debut 7 “ was due on 15th March but pushed back now to April 5th…worth checking it out lads…Irish band have a listen here. One more back to RSD…We use a dutch company for our Music On Vinyl stuff all year round…problem for RSD is they can’t ship to us so there is a British company LITTLE AMBER FISH (LAF) who have the rights for the Music On vINYL stuff for RSD but we do not have a strong trading history with them as we use the Dutch lads…found out about them first and they give a good service so I’s a loyal dog like. 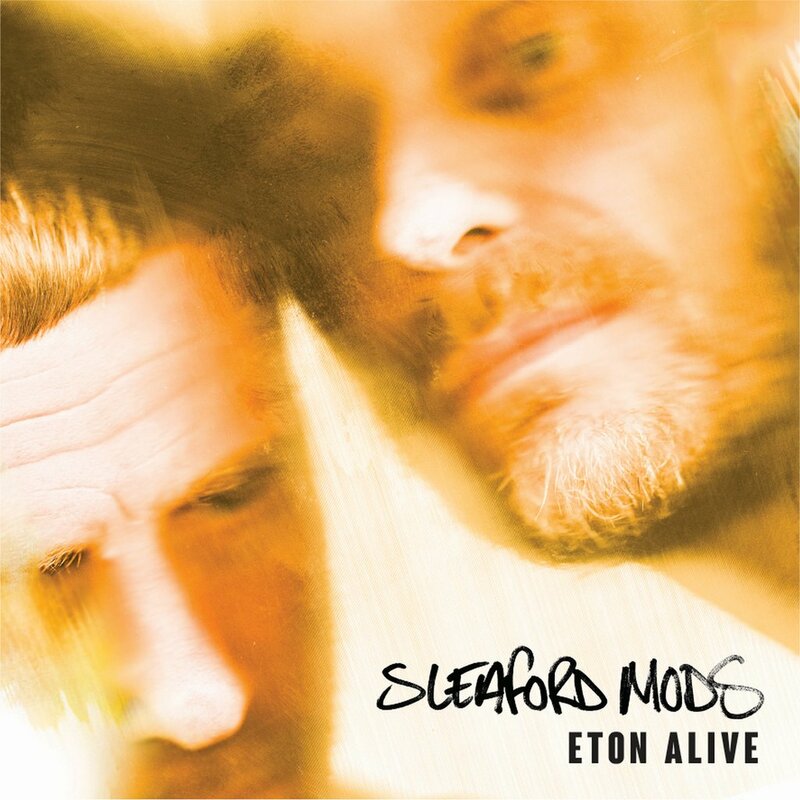 We done ok last year with the MOV stuff for RSD via LAF (you’d want to be a code breaker) so hopefully it will be ok again. Yes boy, Yes boy, Yes boy O Emperor won it…delighted for them. Delighted. Releases for this week include some lovely stuff really like new albums by MERCURY REV, TALOS (including a nice bundle with a signed limited sketch book, LP Bundle or CD Bundle available), PANDA BEAR, MICHAEL CHAPMAN, BEAST IN BLACK, ERIC GALES, MAVIS STAPLES, and GRATEFUL DEAD, as well as reissues by PRINCE, THE RUTS, METRONOMY, and of course the QUEEN “Bohemian Rhapsody” Soundtrack on Double LP in a gatefold sleeve. 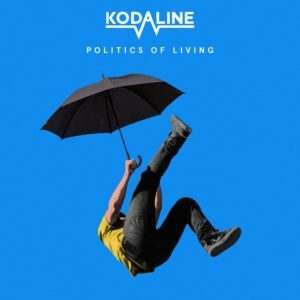 Universal for the 15th of Feb have the new album from PICTURE THIS on CD + LP… No in-store this time, we had a bit of craic that day I remember.. New album out next week.. The lads seem to be going from strength to strength, and more power to them..
CHAKA KHAN has a new album out via Uni also called “Hello Happiness” on CD or LP or Indies only LP..
Sony for the 15th have some PATTI SMITH reissues on LP, “Wave” and “Radio Ethiopia”..
A horse is a beautiful animal, really strong and powerful and beautiful up close.. I have never sat on one so maybe that’s why it’s hard to get back on it.. When you run a small business (i’d imagine it’s similar no matter what you do or don’t do in this life), I find the new year a bit daunting from a work point of view.. Christmas / December is our busiest month.. Albeit worth 3 good months.. (Was 4 months in the in the heady days) so it’s very important. The shop is awash with bodies and there is a buzz.. New Year passes and it really quietens and it is daunting having to drive the business on.. Couple of okay weeks and hopefully all will be okay again.. The shop, our shop, your shop, performed well in December in the grand scheme of things… Turnover was down 1% which was good in the game we are in, i’d say so anyway.. Overall 2018 v 2017 in the shop we were down nearly 5%, or 4.8% to be exact, but the website showed strong growth so that pulled it back to only 1% down year on year. I’d take that lads for the next 10 years!! More cost, work and problems involved in the website but if it helps stem the tide… Then it helps stem the tide. 10 years of 5% loss would not be good, so stemming the tide must be done..
Well, that’s the state of our nation, whom without it’s citizens would not be a nation so once again thanks!! I Know an odd day I can be a grumpy git but try put up with me!! I think overall in Ireland the physical market, constructed by varying reports, is down between 8% and 12% is the consensus. The UK (Brexit is another newsletter) saw some big losses on the CD Format in 2018 vs 2017. 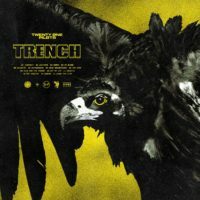 CD Sales per units dropped from 42 Million units to 33 Million units, nearly 25% down, but vinyl grew by 3% up to 4.2 million units sold in 2018. 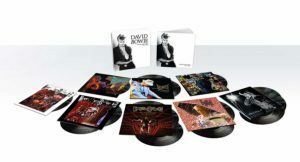 32 Million CDs and 4 Million LPs sold in the UK last year.. Still a couple of billion pounds industry so hopefully the CD will solidify a bit and the vinyl grows away slowly. Vinyl growth of 9% in the USA in 2018 vs 2017m so there is a lot of positivity to be taken from that.. The loss of HMV in the UK will be a blow if it happens as it was a blow when the closed here… It’s not good for the physical industry having shops close.. We meed more visibility, not less and it increases the costs to the record companies… It would be healthier for everyone if that find a buyer and survive.. I’m not so sure though.. So that’s the state of the nations.. Happy New Year everyone! The ball has to roll and the ole wheel will turn like little mice on a mill… We go again.. In the shop today we really only have the vinyl release of the NAS album ‘Nasir’, and (and it’s a lovely listen) the new album by THE DELINES on Decor records. 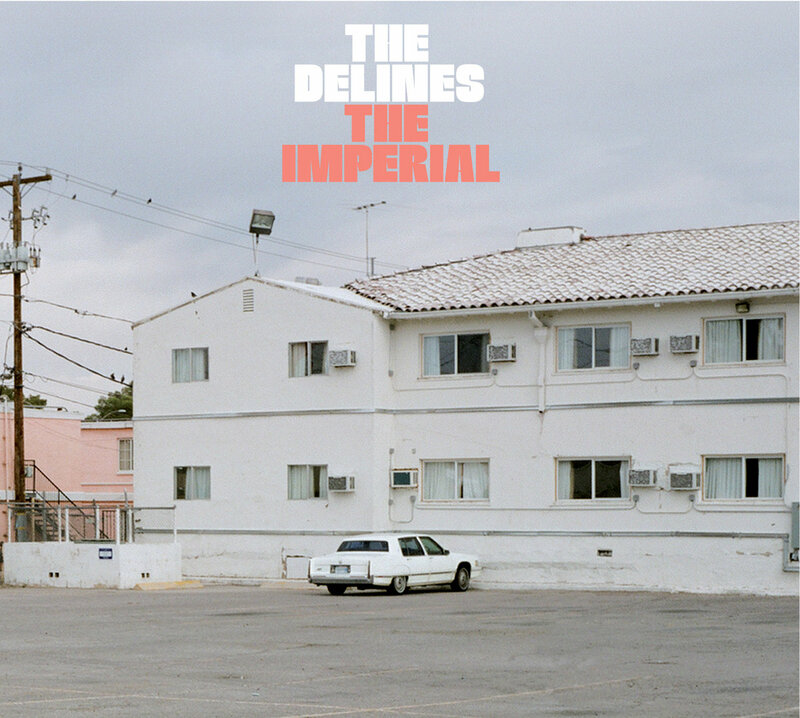 The album is called ‘The Imperial’, and it’s available on CD and l*****d gatefold DLP with a bonus 7”.. Right so, before I move on to releases for the 18th of Jan of which there are a couple.. I mat as well get the first cap out for the new year… It’s not a new cap or anything.. 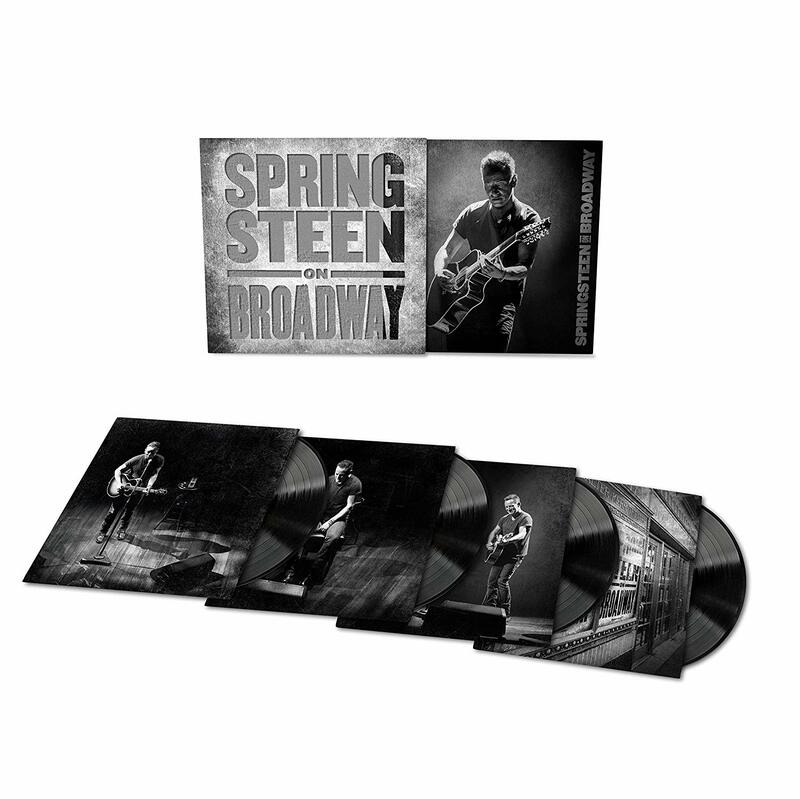 So the cap is for the new BRUCE SPRINGSTEEN ‘SPRINGSTEEN ON BROADWAY’ 4LP Vinyl Box set.. Best price pre-order job is 70EUR on it.. As usual we are delighted to take ye’r names for it..
PIAS also have new albums by DEERHUNTER, M. WARD, and THE TWILIGHT SAD. Universal for the 18th of Jan have a new Joe Jackson album ‘The Fool’ on CD, LP or Ltd LP with a bonus 7” as well, and a new album by MAGGIE ROGERS, and some MARILLION ‘Live Double CDs’.. Uni on the vinyl front for the 18th have reissues by SNOW PATROL as well as the QUAVO release on LP and VENOM ‘Storm The Gates’ LP. 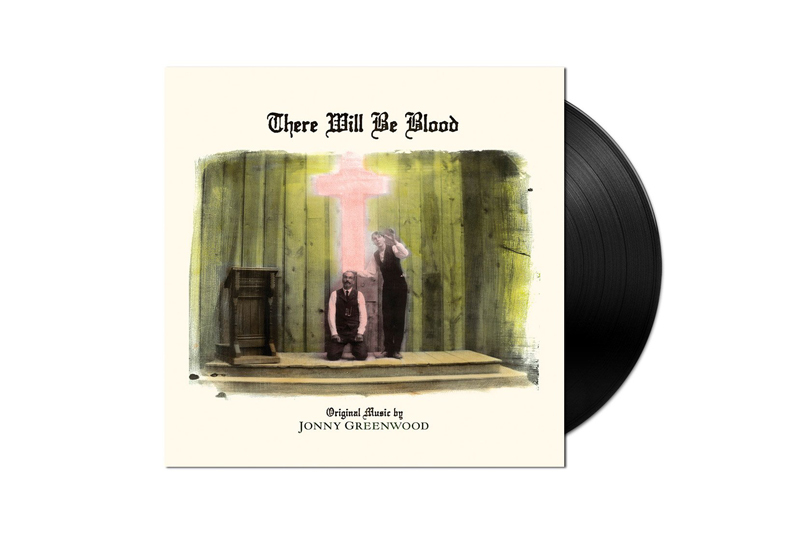 Warner for the 18th of Jan have three nice enough releases including RUSH IN RIO 4LP Box Set, JONNY GREENWOOD’s O.S.T to ‘There Will Be Blood as a l*****d release on LP and THUNDER’s ‘Please Remain Seated’, a live album on CD or LP. 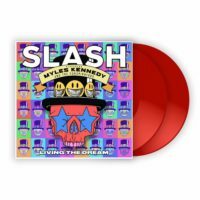 Republic of Music have a reissue of THE BIG LEBOWSKI O.S.T on Mondo..
Last chance saloon for your Top 5 Albums of the Year.. I dropped the ball… Meant to do Top 5 Irish Albums also, so if you do feel like throwing those our way we would be delighted to compile an Irish albums list also… So all entrants in by close of play next Thursday and we will announce the 50EUR voucher winner on Friday next with the MZ Top 20 of 2018 and maybe an Irish top 10… Also our own top 5’s will be included..
Here’s to another year folks..
I’m a bit tender myself tonight to be honest so not sure how well or unwell this will go… Davey from Rollercoaster was on a bus back to Kilkenny this morning early (yesterday morning now) to open his abode to sell Westlife tickets.. So that does make me feel a bit better…. Not the selling of the Westlife tickets, that’s cool, the getting up for the bus at 7AM part.. Treated to David Byrne last night in the 3 Arena… Top night out… Good few record shop kids at it… Warner looked after us all splendidly… I promised some of ye I met to throw ye down some prawns from the VIP Bar but alas if ye didn’t get them the birds must have… Top show… Top top show… That’s what it was … A show… Some man for 66 I think…Well able… But the show was superb… Thoroughly engaging from start to finish…. As Ed said during the week, directed from start to finish… 12 on stage most of the night… Barefooted all, bar the lead guitarist as she wore flip flops.. Must have a verruca or something… Not a cable in sight… 6 folks banging all sorts of drums… All around their waists… A lad on keys around his waist… A bassist… Lead guitar… Two backing singers and prop putter in placers (one of them Gavin James i’d swear..he is a busy boy ) and then the main man himself. Not a cable in sight… The stage was like an operating theatre… We..the crowd, loved it.. Top top stuff to be fair.. I dropped the ball though… Yep I probably did drop the ball… I was in the company of the record company guys after the gig when they were going down to meet the man himself… Easy for me to say ‘can I gatecrash also?’… I’m sure it would have been no bother… Didn’t open my gob… Decided not to to be honest… Have a pic with Austin Powers from around ‘05 on a work thing which is in the house… His other side gave me a tip or two as ye probably know….. Me : “Hi, nice to meet you..” Austin : “Hi… Where are you from?”… Me : “Ireland”… Austin : Oh, I love Ireland”… Snap photo… Move on.. I love the photo though… Two doctor evils in the one snap… So to cut a short story long… I dropped the ball…? Got my Microdisney tickets for Cypress Avenue this morning so that did cheers me up… Next. Out today we have releases by THOM YORKE, GAVIN JAMES… A nice little one on the Gavin James release… We have limited wristbands with the purchase of the new album… Out today… For an intimate meet and greet with Gavin where he will also perform tracks from his new record in Cypress Avenue next Tuesday evening the 30th at 7PM… All ages album Launch Party with RedFM… We do not have loads so if you or yours like the Gav man… Buy the album… Get into the event… Gavin done an in-store in the old shop for his debut album and it was great and he was such a gent..
Other releases today are THE KINKS boxset and vinyl reissue. 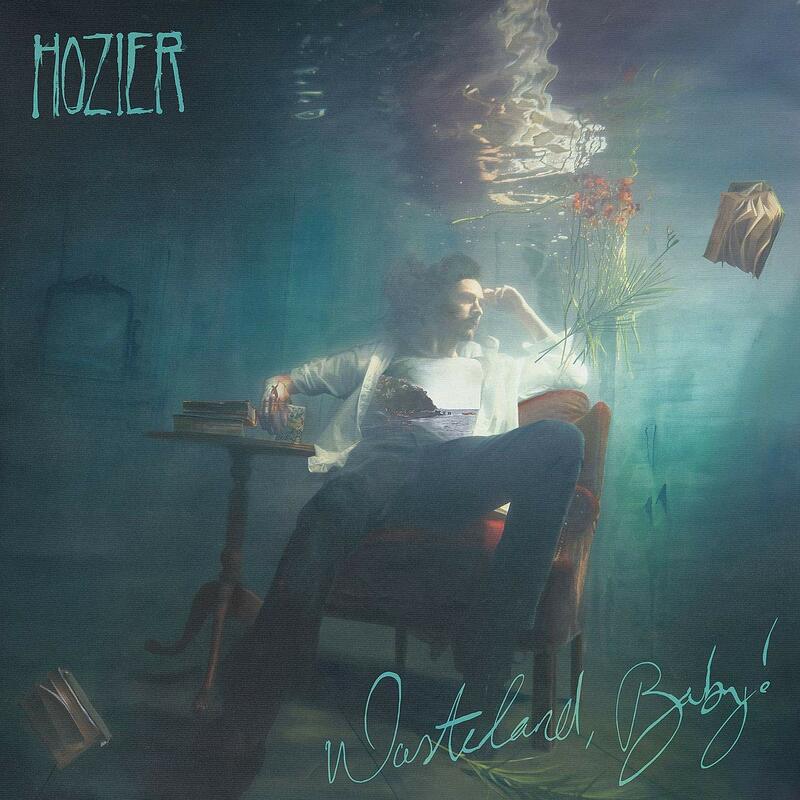 Some new releases from JULIA HOLTER, TOM ODELL, YAZOO, NAO, DAVID CROSBY, BRONSKI BEAT, TROJAN : RUDEBOY OST, ARIANNA GRANDE (new album, CD landed a few months back), POST MALONE (same as Arianna! ), THE TWILIGHT SAD, B.E.D (BAXTER DURY new supergroup), BARRY ADAMSON, and ROBBEN FORD. Reissues in the siopa today from GRINDERMAN, JOHN FOGERTY, BERT JANSCH, THE BEE GEES, and THE CHARLATANS. 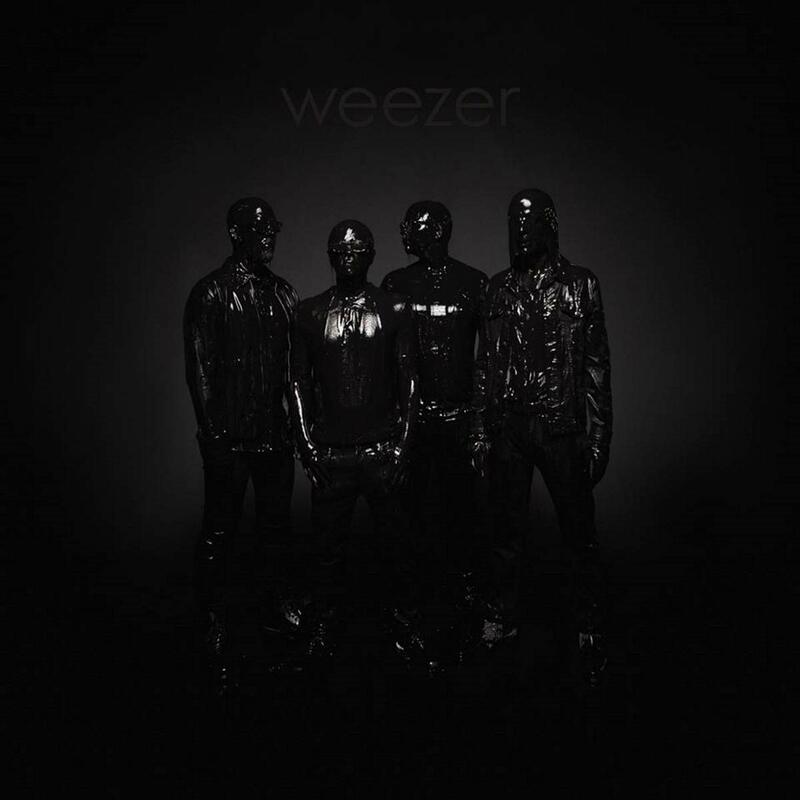 The single disc / 2LP configuration of More Blood, More Tracks assembles 10 of the most emotionally resonant alternate takes of each of the 10 songs appearing the original Blood On The Tracks plus a previously unreleased version of “Up to Me”. 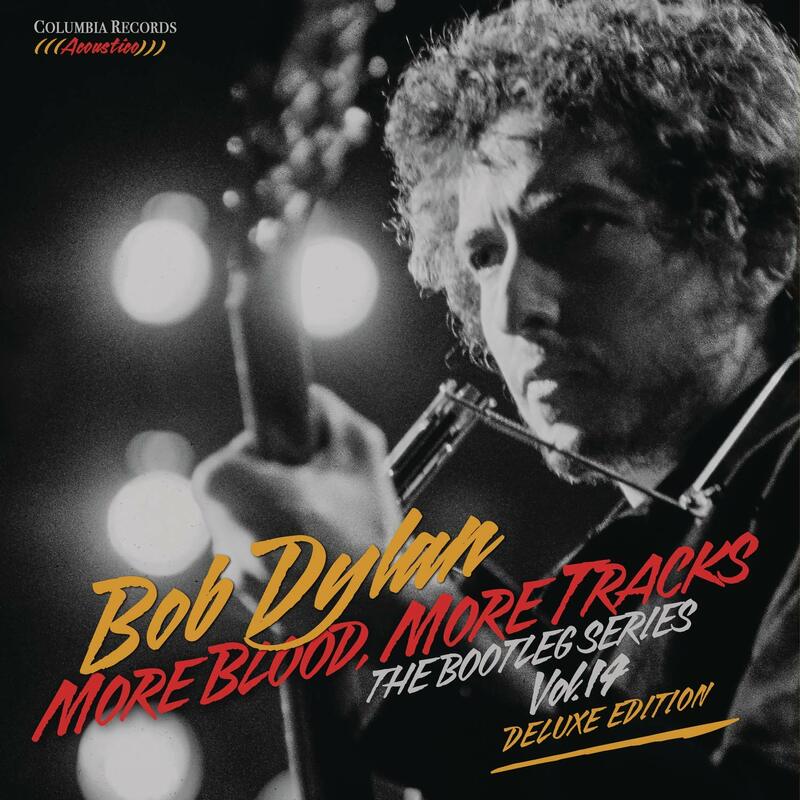 The 6CD full-length deluxe version of Bob Dylan – More Blood, More Tracks – The Bootleg Series Vol. 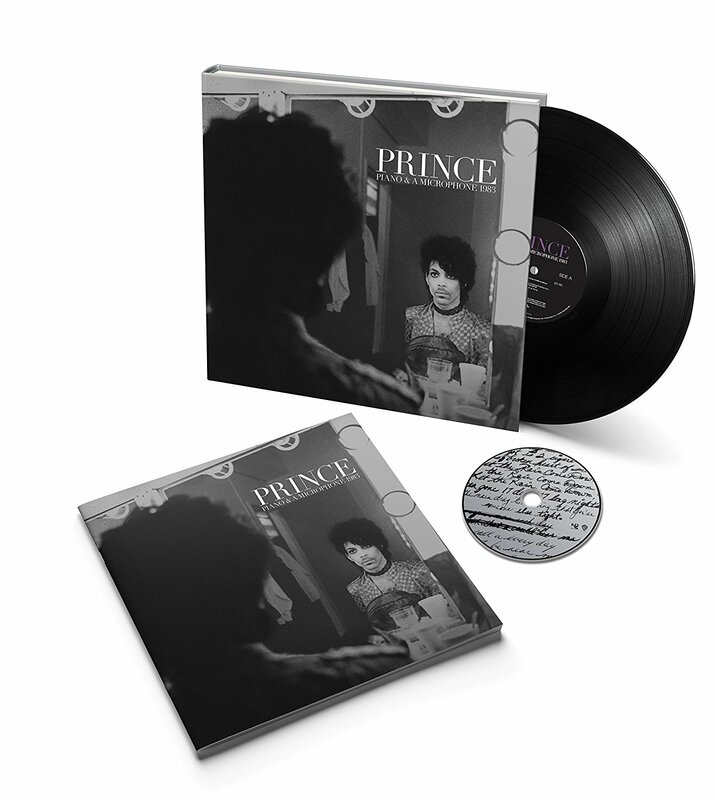 14 includes the complete New York sessions in chronological order including outtakes, false starts and studio banter. The album’s producers have worked from best sources available, in most cases utilizing the original multi-track session tapes. Sony also have the new TENACIOUS D album called “Post Apocaltyo” on CD , LP or indies only green vinyl… Mr. Dave Grohl is on drums on this record… BTW… Saw Goosebumps with the kids for movie night last sunday evening… Very enjoyable… Nice actor Mr. Black.. Nice musician also. 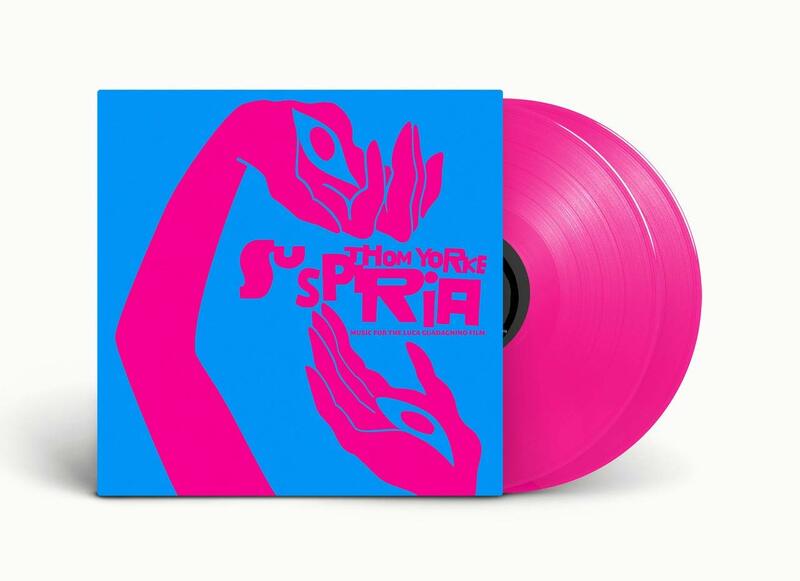 Sony also have a new BARBRA STREISAND album, and the debut ARCADE FIRE E.P. gets a reissue.. Lastly Sony have a reissue, first issue i’d say on LP of the excellent PADDY CASEY album “Living”.. One of the biggest selling albums of 2004 in this country… Cracking album in my opinion. Universal for the 2nd of Nov have the next in the series of METALLICA box sets… This time its fourth album “…And Justice For All” on LTD Deluxe Box or 3CD or 2LP or 1CD or cassette..
Metallica commemorate the 30th anniversary of the release of their breakthrough fourth album …And Justice For All with the announcement of its definitive reissue, out November 2nd via UMC and the band’s own Blackened Recordings. 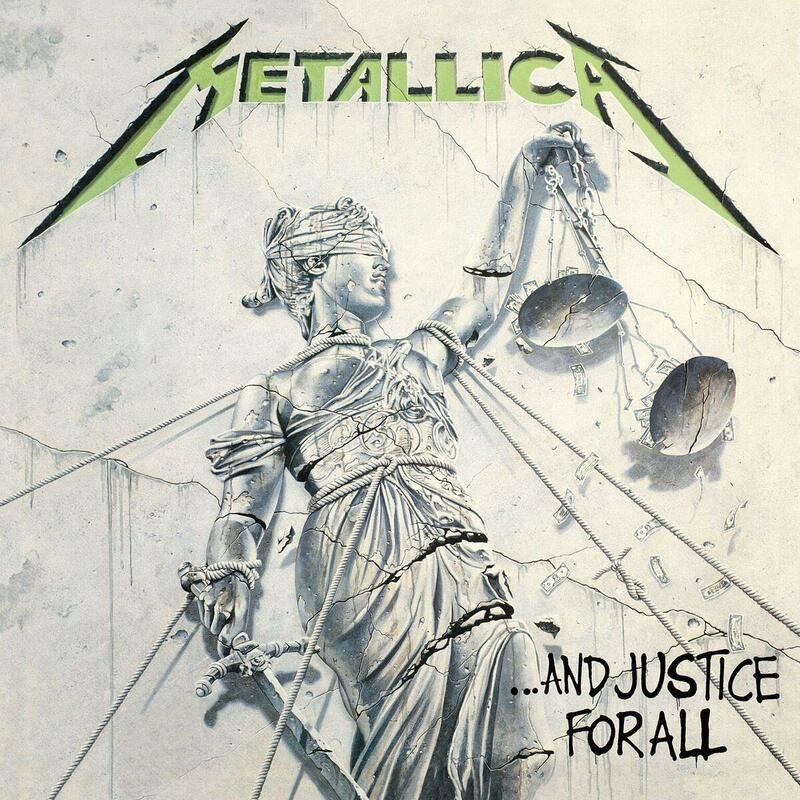 The re-release of …And Justice For All has been remastered for the most advanced sound quality, as overseen by Greg Fidelman, and will be available in multiple physical configurations. 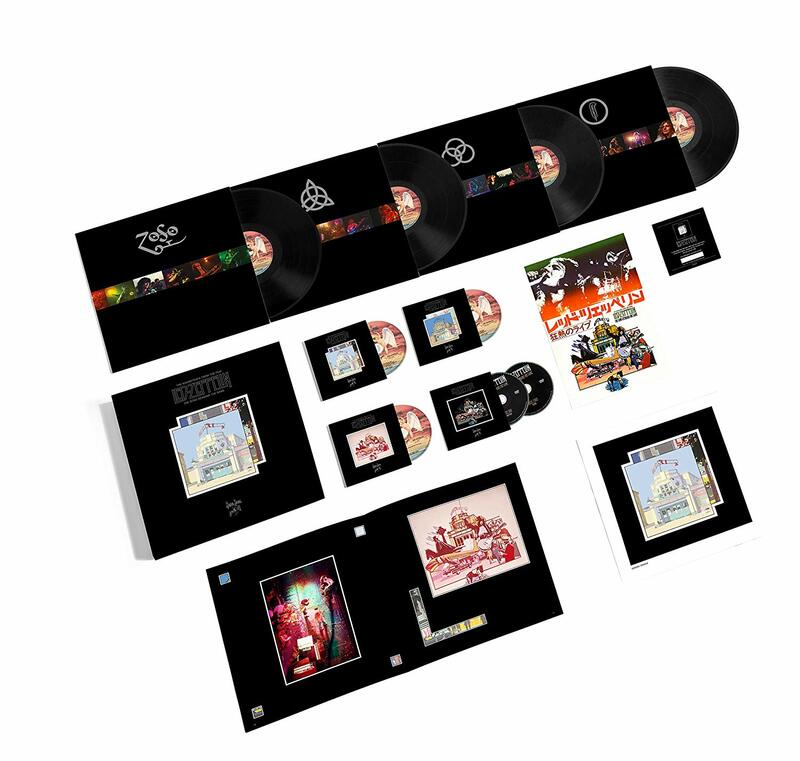 The …And Justice For All reissue will be available physically as a Standard Double 180 gram LP, Standard CD, 3 CD Expanded Edition, Cassette and a Limited Edition Deluxe Box Set. 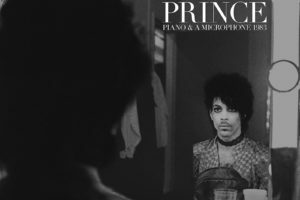 The Expanded Edition will include previously unreleased demos, rough mixes, previously unreleased live tracks, and an expanded booklet of never-before-seen Ross Halfin photos. 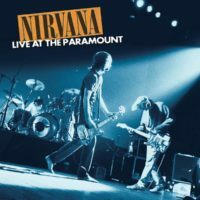 The one-pressing-only Limited Edition Deluxe Box Set will include the remastered double 180g LP, a “One” picture disc, 3 LPs featuring their iconic performance from Seattle in 1989 remixed by Greg Fidelman, 11 CDs, 4 DVDs, a set of four patches, a Pushead print, a tour laminate, lyric sheets, a download card for all material in the set, and a deluxe 120-page book with never-before-seen photos and never-before-told stories from the people who were there. 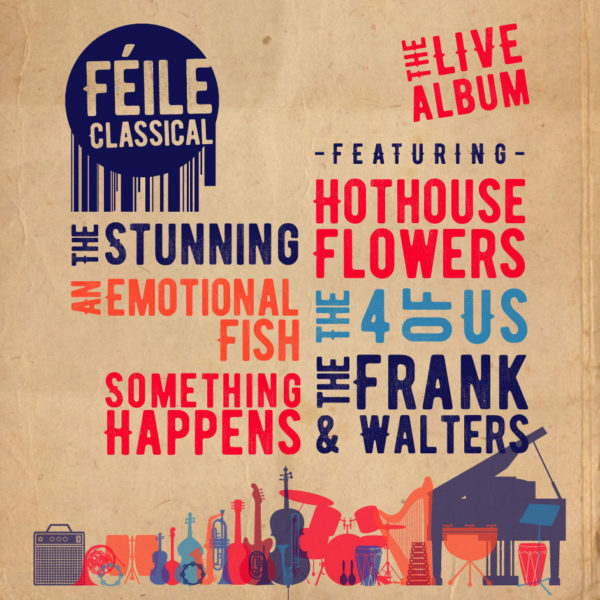 Next up on my notes is CHRISTIE HENNESSY with the RTE Concert Orchestra called “The Last Goodbye”… Supposed to be out on the 2nd… Moved to the 16th now I think… I’m partial to Christie if im to be honest. Uni also have MOODY BLUES reissue of “In Search of the Lost Chord”… 50th ann… They also have an AMY WINEHOUSE DVD documentary on the making of “Back to Black”, which includes an intimate show never seen before (ala Gavin James..), and a new ROSANNE CASH album “She Remembers Everything” on CD or LP ….There are also some reissues of the first four OMD records, half speed abbey road masters, RICHARD ASHCROFT “Alone With Everyone” reissue and the KID CUDI/KANYE WEST “Kiss The Ghosts “ gets an LP release. Do you know the way I missed an open goal with Mr Byrne… Two different lads were in the shop this week who scored… I’ve loads of these type stories but these two are fresh in my head as they say.. First up… Our lad was working in a hotel in London many years ago and was going down stairs with a combi cage to get some meat from the fridge/freezer near the employee entrance… He swept through the door and jammed someone against the wall with his cage… That person within a nano second raised their hands in the air and wriggled there fingers in a ghostlike fashion (made the face also)… Grey T-Shirt, jeans, no makeup on and loads of hair… That person was Robert Smith… My guy recognised him straight away and just apologised and moved the cage… Mr Smith just said “no problem at all” and moved on… Class story I thought, I laughed hard. The CD version has 12 CDs and includes all seven of the band’s studio albums, three live albums, and a compilation of singles and b-sides. It also includes two concert videos: Hell Freezes Over (DVD) and Farewell Tour: Live From Melbourne (Blu-ray). The vinyl version of LEGACY has all the music from the CDs on 15 LPs, but none of the videos. 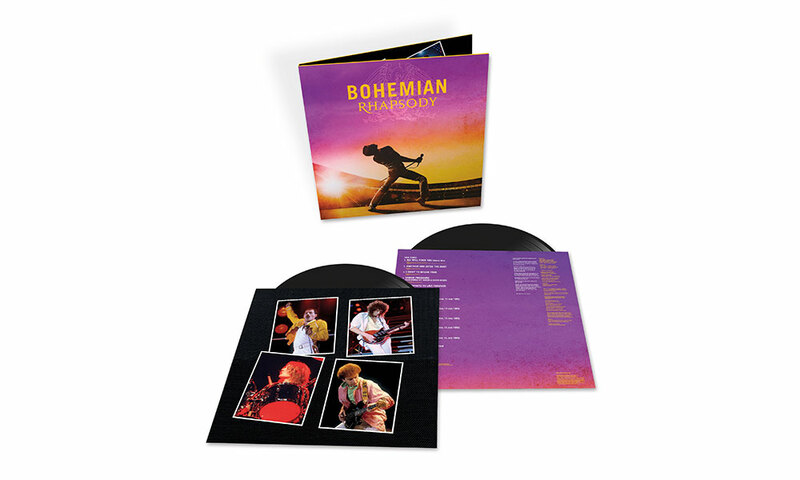 Both sets are housed in handsome slipcases and accompanied by a 54-page hardbound book that’s filled with rare and unseen photos, memorabilia, and artwork that encompasses the band’s entire career. There is an ART OF NOISE 2CD version of In No Sense! 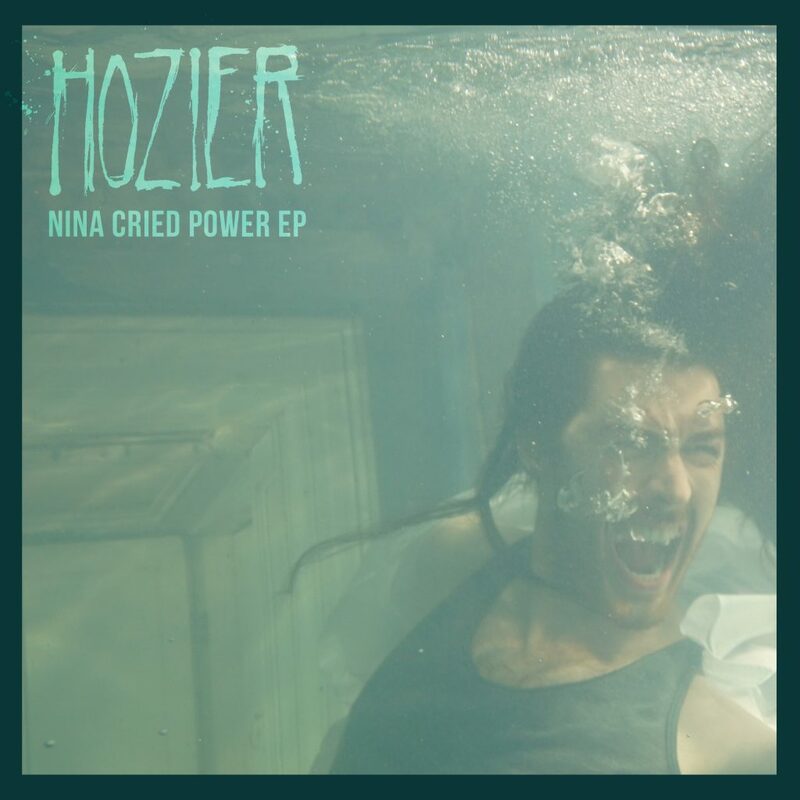 Nonsense!… WARNER also have a new MARIANNE FAITHFULL album on BMG on LP… Ltd to 1k… LP and Deluxe CD boxset available also… 200 of them available only…MATT CORBY new album also.. NICK CAVE and Warren Ellis “The Proposition” LP O.S.T… Ltd to 1500 units… New ALBUMS also by OPETH ‘Live From Red Rocks’, and PRODIGY next week through Warner.. Opeth on ltd orange vinyl 2LP only 220 copies available. 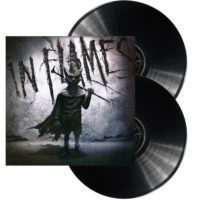 Prodigy also indies only vinyl.. 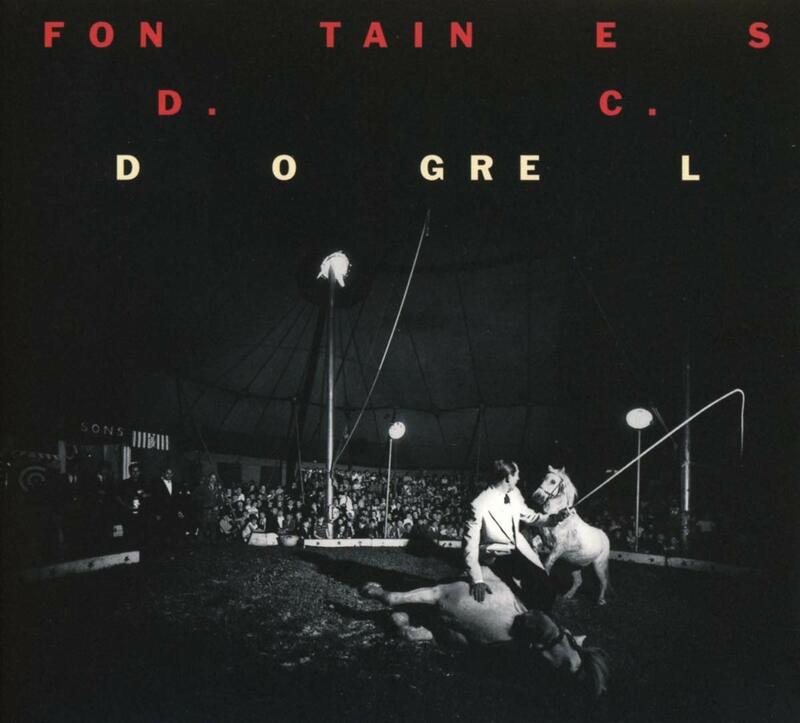 Sin é for this week folks i’d say folks..
How’s the form with ye… Hope all is alright. 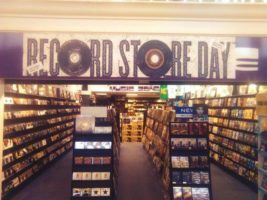 Last Saturday was National Record Day across the pond… I meant to mention it last week…. It was the first one held.. A good success by all accounts.. We are our own nation as ye know hence we weren’t involved… We have had plenty of fine records ourselves down through the years so maybe IMRO or someone will look at something like it for here… I suppose from where I sit (self servingly sit Raymond, old chap) anything that will enthuse people to buy physical music i’m all for obviously… The album is 70 years old this year… 1948… Look at the joy it’s brung. If the physical music industry has a chance to live for anywhere near that length of time again, then the industry as a whole has to embrace and advertise and promote the physicality thing… That, along with sound are two big selling points.. Process, warmth, wholeness amongst others but i’m slipping from my point. The physical industry has got to get kids and young adults to embrace the physical… A good example of how it worked well recently… 21 Pilots new album… Warner/Atlantic gave us some tees/wristbands/balloons (all 21 Pilot branded stuff) to give away to customers (kids and young adults) … The first few girls left with a tee, wristband, balloon and CD .. All for 13 Euro… You won’t get that on a streaming platform folks… The girls were gobsmacked.. I’m sure they will have told everyone in their respective classes when they got back… That makes a difference. People still love music as much as ever (kids too!! ), but they obviously have different options in how to consume it… So the powers that be in my game, the physical one need to promote the physicality, with stuff… Give stuff… Bundles… Little mix CD with Tee-Shirt 20 Bucks (I know the bundles have been tried with metal bands and rock bands in the past but to a more mature consumer… Not really ever to the kids/young adults…) Free headband with CD type thing… I hope those girls with the Pilots stuff made others jealous…. It’s what’s needed… Physical needs to be the cool king again with the kids… Free has got in the way of that… Free is nearly always cooler…. 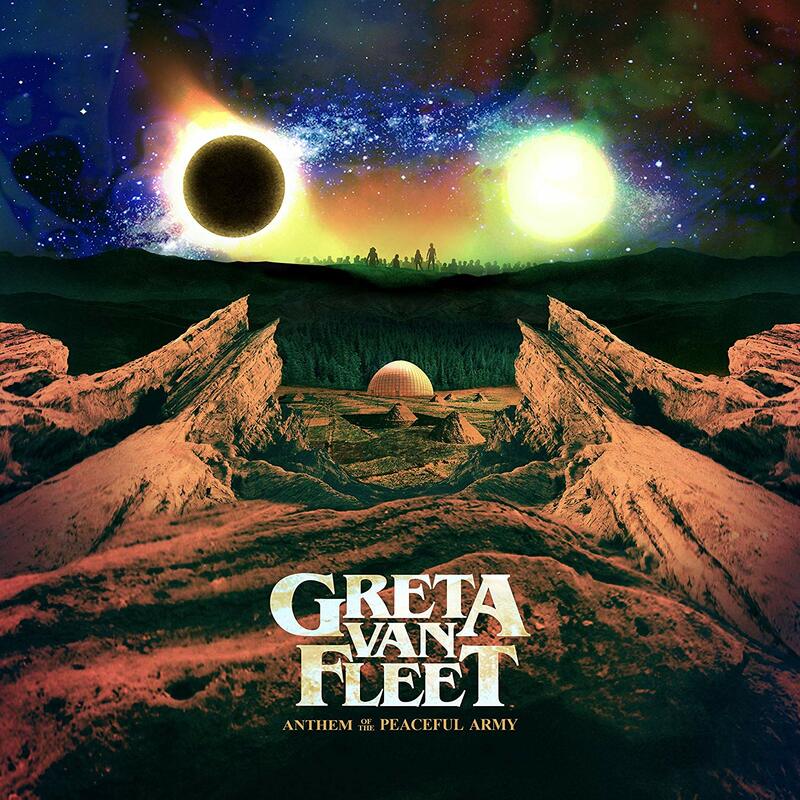 Take the debut record from GRETA VAN FLEET, those boys see the importance of physical… They love records and they want to promote their record to their fans, not islands on a stream… New album, 10 brand new tracks.. None of the hits from the first few EPs.. Not good for streaming.. 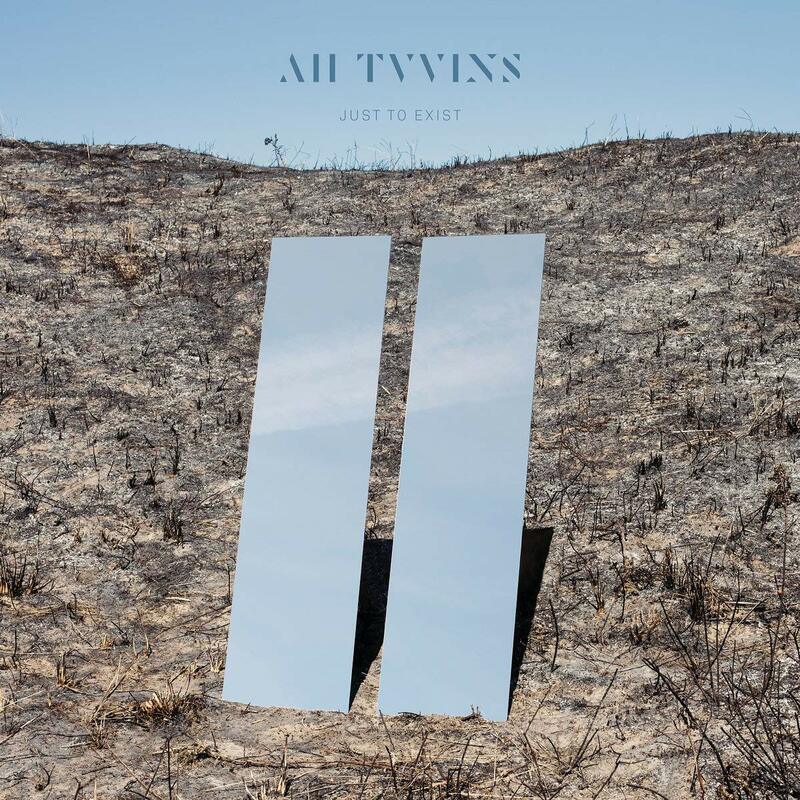 But ballsy.. Here’s 10 new cracking tracks.. We’ve got plenty more.. The physical industry which is a one with the stream industry (wherein a bit of the problem lies) needs to convert those young fans to the physical joy… But do they care enough? Monetary wise probably makes no odds to them… Industry is making money through streaming platforms in markets it never made a dollar in like eastern Europe and India… So records will probably continue to be a niche bit of the whole pie (the best bit of the pie mind you) but if enough people don’t care about it within the industry, the record may not come within an ASSes roar of another 70 years.. I’m preaching and i’m preaching a bit to the converted here I know but stuff just comes out the gob sometimes.. Sermon over… So right say two Hail Marys and an Our Father and buy a record before Christmas… That blasphemy thing still in law? ?…A joke. It was a joke. Anyway anyway Raymond… Could be a long night folks… Releases in the Musiczone.ie record and tape emporium include new albums by GRETA VAN FLEET, CLIFF MARTINEZ, WILL OLDHAM, DISTURBED, RICHARD ASHCROFT, SOULFLY and ST VINCENT… Newish Compilations kind of things by QUEEN and R.E.M, and reissues by THE CRANBERRIES, DAVID SYLVIAN, THE CULT, LOW, FRANK SINATRA, BETA BAND and KREATOR. Video up here for this week! Right so onto without further adieu and no little haste (after my rant, speech) are releases for October the 26th. 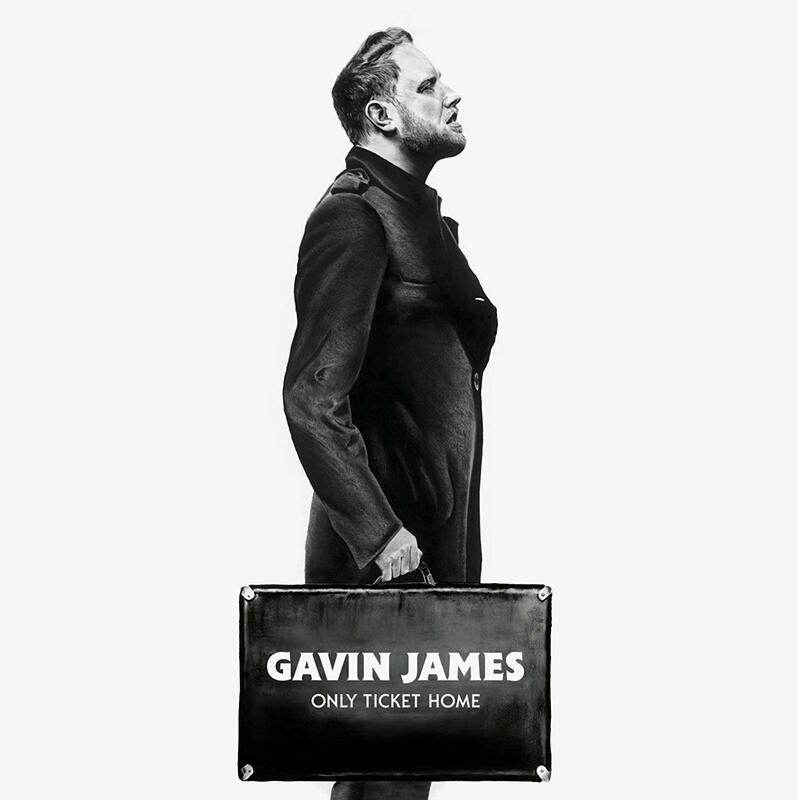 Warner for the 26th have the new and second album by GAVIN JAMES called “Only Ticket Home”… Buy the album from us and you could be in for a nice surprise! Lips are sealed for now… Tell me have to kill me type of thing. 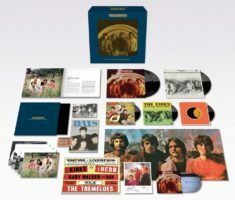 Warner also have THE KINKS cracker jack of an album “The Kinks Are The Village Green Preservation Society” on Boxset, CD, 2CD, and 1LP.. More info on the boxset here. 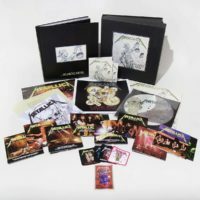 The boxset contains remastered original LPs, CDs of the remastered original albums plus a wealth of rare and unreleased bonus material, reproduced 7&quot; singles, deluxe hardback photo book with comprehensive notes and new band interviews, and reproduced original memorabilia. 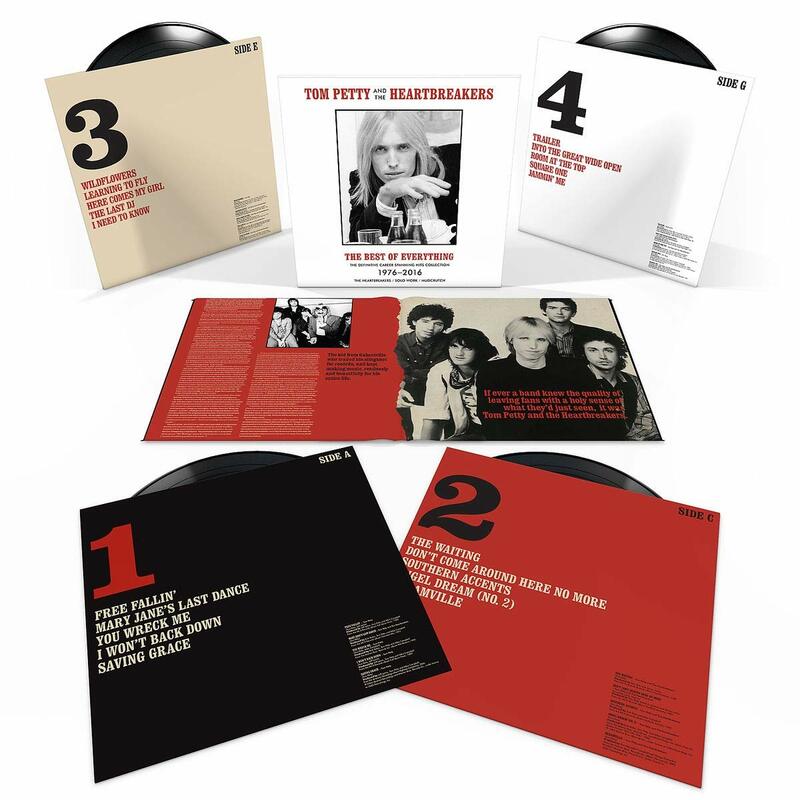 Gatefold 2LP – Original album 2018 stereo &amp; mono remasters, 180g heavyweight vinyl, carefully restored original artwork. 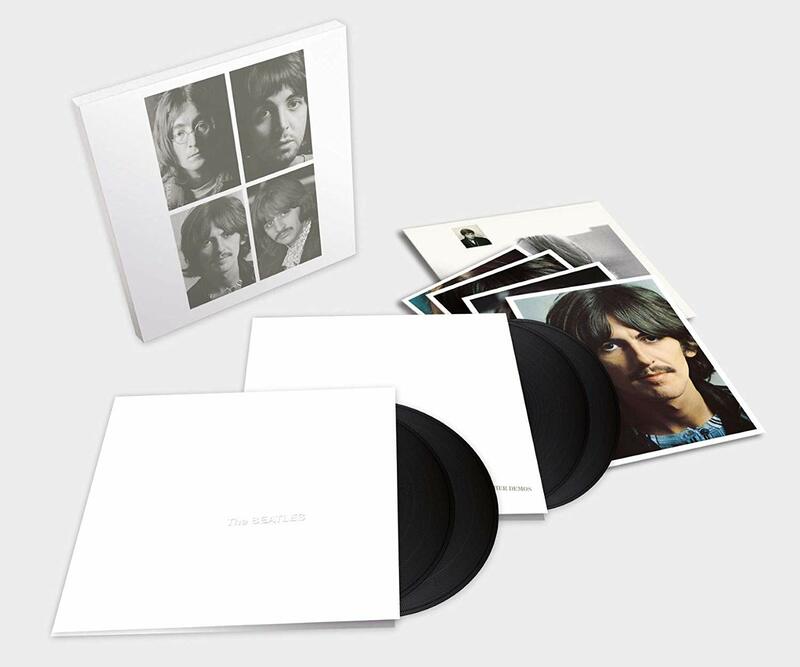 1LP – Original Swedish 12 track LP, 2018 stereo remaster, 180g heavyweight vinyl, carefully restored original artwork. 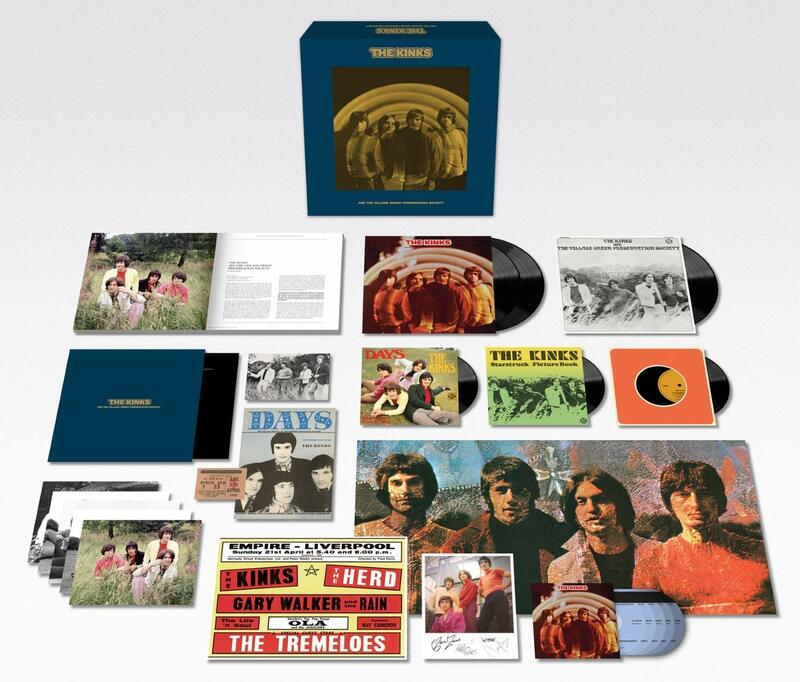 CD1 – Original album, 2018 stereo remaster + bonus tracks; CD2 – The Kinks Are The Village Green Preservation Society, 2018 mono remaster bonus tracks; CD3 – Village Green sessions, containing demos and alternative versions / mixes from the original mid-sixties recordings sessions; CD4 – Village Green At The BBC, track audio and band interviews; CD5 – Preservation, Live &amp; Demos, including previously unreleased home demos, Ray Davies live in Denmark 2010 and unreleased track ‘Time Song’. Warner also has new albums by BOY GEORGE & CULTURE CLUB… First in 20 years “Life” it is called and there is an indies only vinyl version l*****d to just 1000 copies. New ones as well from LUKAS GRAHAM and DAVID CROSBY as well as reissues by on CD and LP by JOHN FOGERTY, BERT JANSCH, BLACKBERRY SMOKE and BRONSKI BEAT. Warner also have DR. FEELGOOD “Live at the BBC” CD, YAZOO “Four Pieces” LP box set, and the soundtrack to RUDEBOY. A movie about the TROJAN Record Label. Lastly from Warner for next week the 26th of October is a reissue of the first GRINDERMAN album… L*****d to 1500 this one on green indies only. SONY for the 26th of OCT have new albums by TOM ODELL, NAO, JOHN LEGEND, a Christmas album, and last but not least ROGER WATERS “A Soldier’s Tale”.. Stravinsky’s Work narrated by ROGER WATERS… I hear its excellent… I dunno… Will give it a listen. 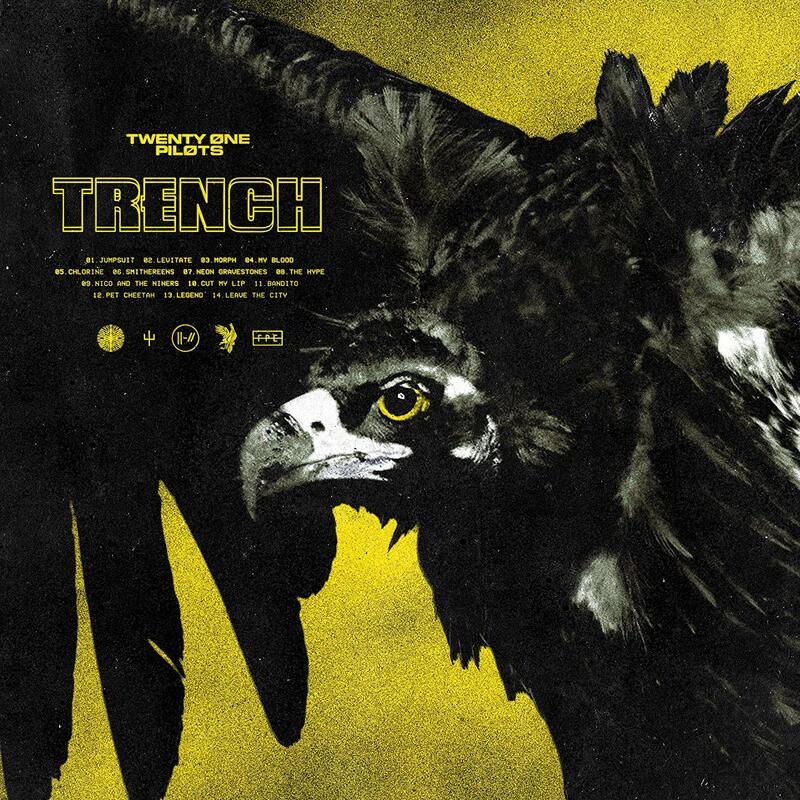 structures, some interludes, some instrumentals. PIAS also have the reissues of the THIS MORTAL COIL Records…. For those of ye who don’t know (apologies to those of ye that do) THIS MORTAL COIL was a music collective of the 4AD record label under the stewardship of IVO WATTS-RUSSELL, with guests from DEAD CAN DANCE, COCTEAU TWINS, PIXIES to name but a few… Some beautiful records… So the three are getting reissued on CD or 2LP… “It’ll End In Tears” “Blood” and “Filigree & Shadow”. PIAS also have the new PUBLIC SERVICE BROADCASTING 4 Track EP “The White Liner” based on the Titanic, as well as the new album from JULIA HOLTER (her last album made our customers top 10 the year it was out… 2016 was it?) 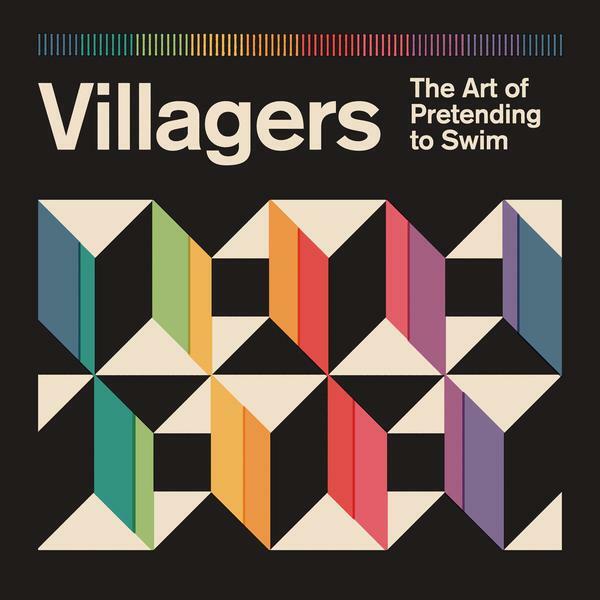 It’s called “Aviary” on Domino records. PIAS for the 26th also have new albums by KYLE DIXON & MICHAEL STEIN “Stranger Things – Halloween Sounds From The Upside Down” on CD and Purple Orange vinyl… Out on Invada records as well as debut record by B.E.D.. A collective of Baxter Dury, Etienne De Grecy and Delilah Holiday. Last few bits from PIAS for the 26th are the BAUHAUS LP reissues on coloured lp of “Mask” and “In A Flat Field” and the Bad Seed BARRY ADAMSON has an Anthology released on Mute on CD and indies only coloured LP. Oh TWILIGHT SAD brand new 10” also.. Told yeah there was a few and they were nice. UNIVERSAL for the 26th have the new STRUTS album on CD only for now “Young and Dangerous” it’s called… Aren’t we all, as well as a new album from ROBYN and a new ANDREA BOCELLI album also called “Si” which features a lot of duets. 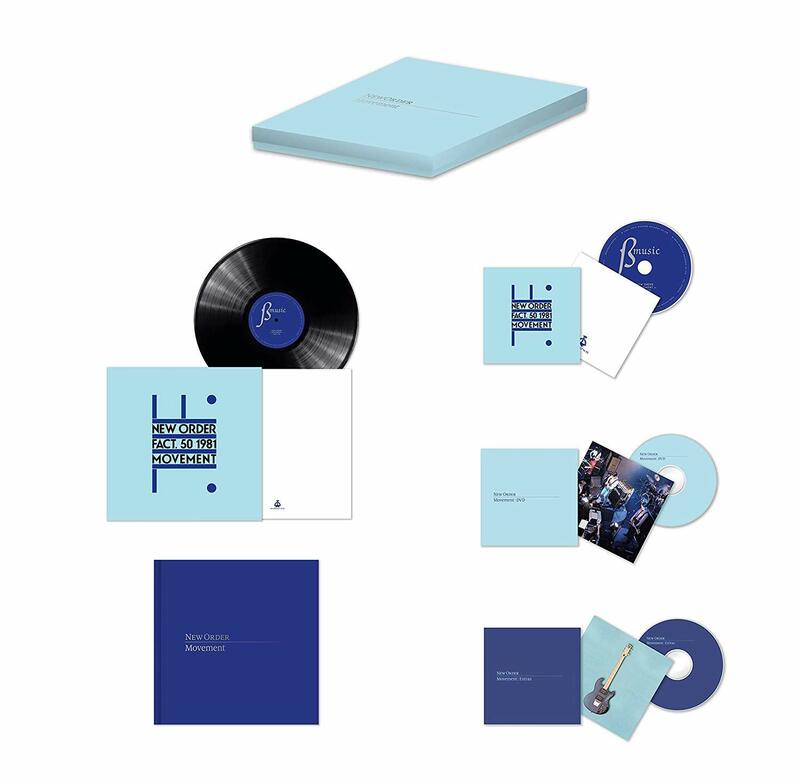 UNI have a BARRY WHITE 9LP and 9CD boxset and a new album by ROBBEN FORD “Purple House” . Uni also have a fabulous JS BACH Complete Collection on 222CDs and 1 dvd.. Which presents ever known note from the composer… 399 Euro price if anyone interested. 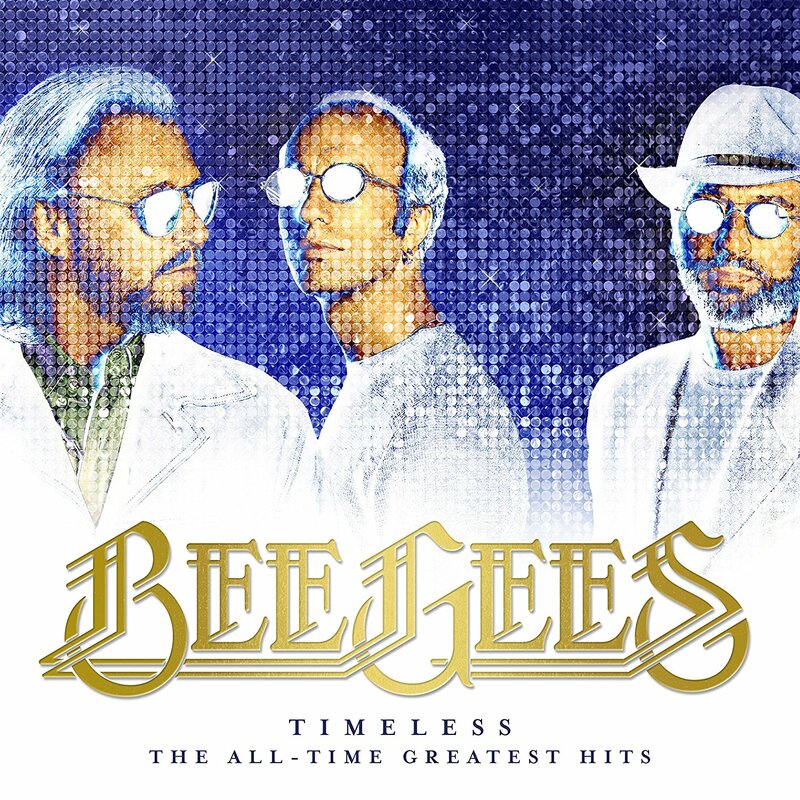 On the vinyl record front from Universal there is a BEE GEES “All Time Greatest Hits” LP, POST MALONE “Beerbongs and Bentleys” gets its LP release on ltd clear vinyl, a couple of CHARLATANS reissues including “Up At The Lake” and “Wonderland”, and the new ARIANA GRANDE album “Sweetener” gets it’s vinyl releaseL lastly is BLONDIE’s “Heart of Glass” EP reissue. REPUBLIC OF MUSIC have some LEVELLERS reissues on coloured vinyl “Letters From The Underground”, and “Static on the Airwaves”, a new album from LAURA GIBSON on City Slang and John Carpenter’s “Halloween” LP reissue. The ORCHARD for the 26th of Oct have new albums by MICAH P HINSON, SETH LAKEMAN and UNLEASHED, as well as a reissue by BTS and some LP reissues by OBITUARY. PROPER for the 26th have a new compilation by ANATHEMA and new albums by RAZORLIGHT, LISA O NEILL and ANDY IRVINE/RENS VAN DER ZALM. Final note, s friend of the shop has a spare ticket for The Chemical Brothers (Oct 29) for sale for 50 EUR if anyone is interested.. (face value 66 on ticket).. Pop us a mail if interested and we’ll put you in touch. 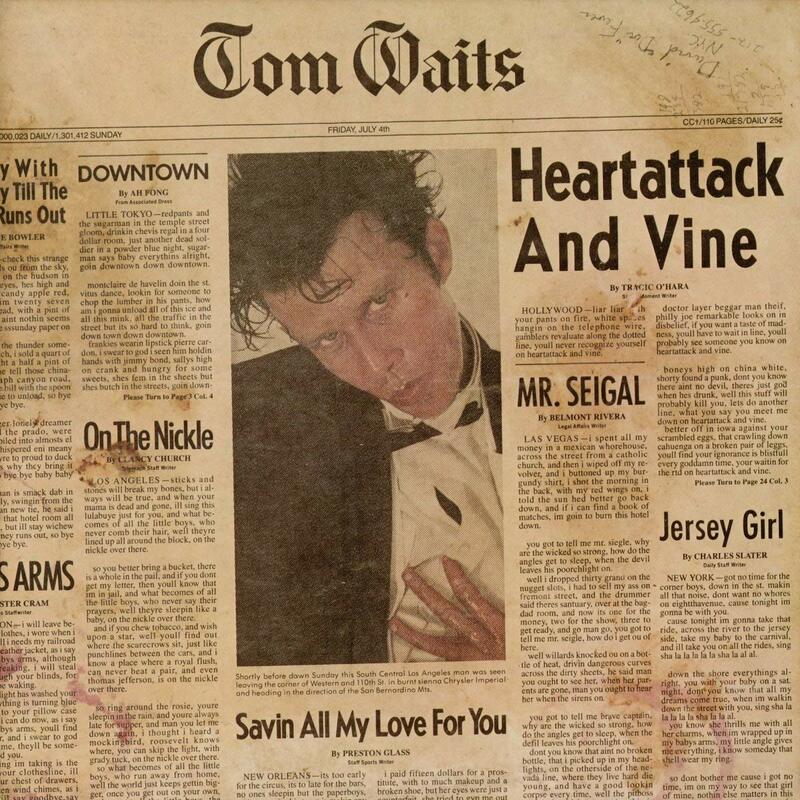 New Releases From John Grant and Kurt Vile, Bowie Bowie Bowie, and Offerings From Satan (or Santa).. Releases will start coming thick and fast for the next 6 or 7 newsletters… Btw the banks are more flexible with skipping a mortgage repayment these days I believe… Just saying is all. And finally on new releases, we have the new BEHEMOTH on indies only blue vinyl. 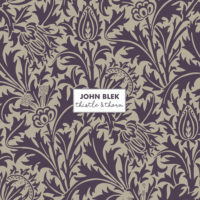 Reissues today from JOHN LENNON BOX-SET or Vinyl of ‘Imagine’, BLOC PARTY, BUSH, TRICKY and DJ SHADOW. 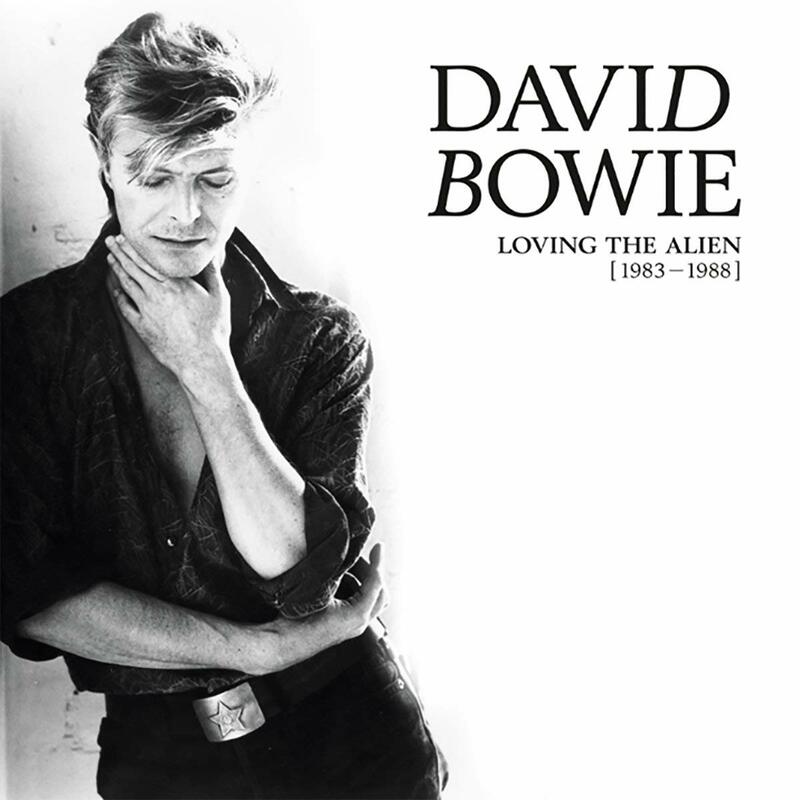 Right so moving on to next friday the 12th of OCTOBER… The next instalment of the BOWIE box-sets is out… LOVING THE ALIEN… Pre-Order T-Shirt and price offer/cap still on… 225EUR and let us know your tee size as well.. Payment installments cool also…. Those kind folk who pre=ordered already have their tees in the bag, and speaking of bags, we will also have some tote bags… So those will be given out on a first in first out basis on Friday…. I think thats the fairest…. 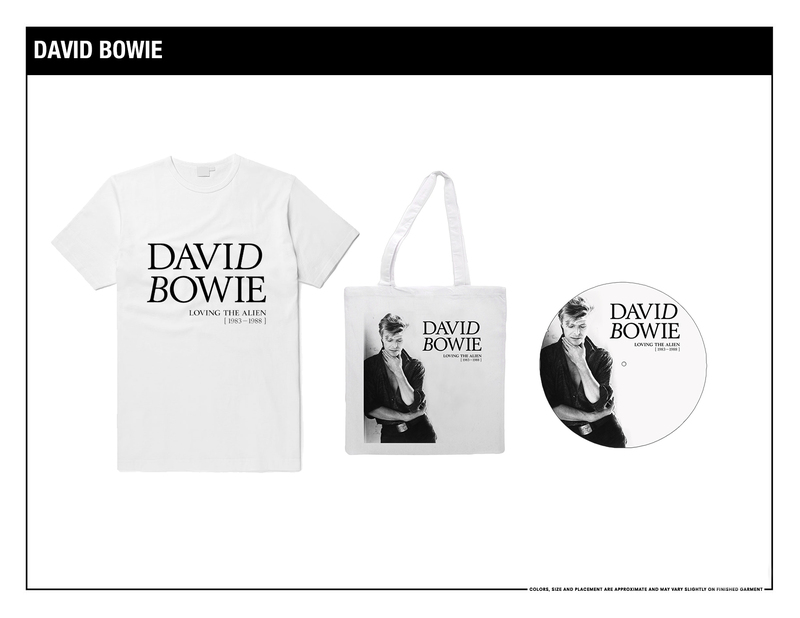 So some will get both tee and bag and maybe even a bowie poster… 3 items!! 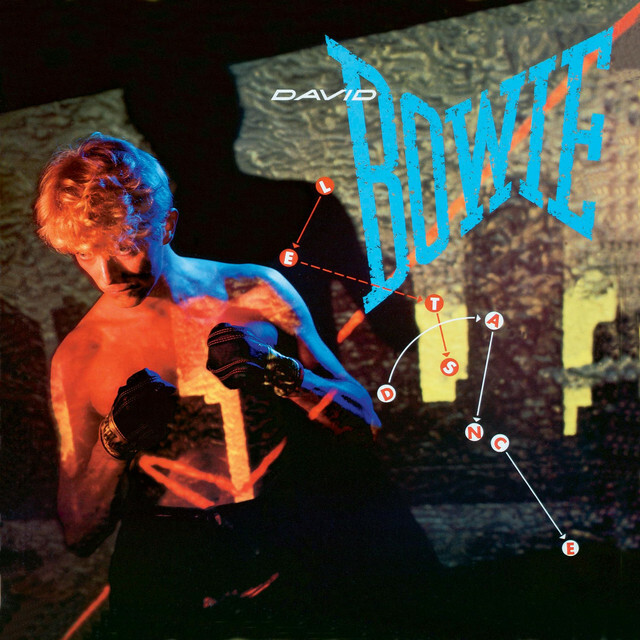 2 for most… Tee and poster… Boo hoo I hear some of ye non Bowie enthusiasts say… Bowie Bowie Bowie…. Boo fecking hoo. 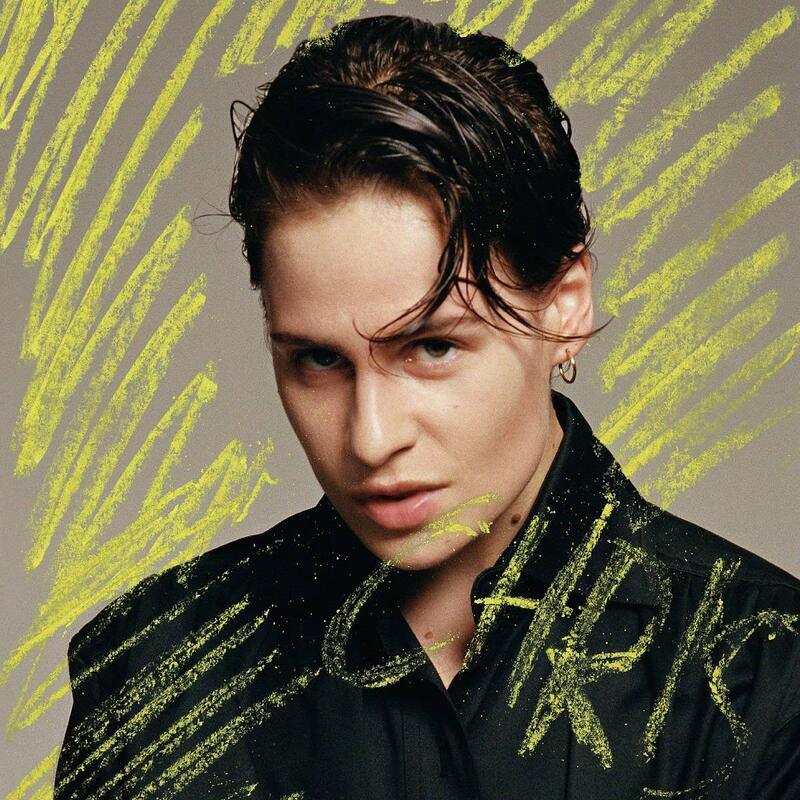 Warner also have the new and second JESS GLYNNE album “Always in Between” on CD, Deluxe CD and L*****d 140 gram Blue Vinyl, a new solo album by TOM MORELLO, a live album by KADAVAR, some bespoke and l*****d HARRY POTTER O.S.T Picture Discs on vinyl, and a 60th Anniversary 7” single of CLIFF RICHARD’s first single from 1958… Replica cover, ltd and numbered. WARNER also have vinyl reissues from ALICE COOPER ‘Best Of’, CHRIS REA ‘Very Best Of’, ENYA all her catalogue basically, and FLEETWOOD MAC ‘Say You Will’ and ‘The Dance’. Universal for the 12th of October have a (sorry now for mentioning) Christmas album by ERIC CLAPTON called “Happy Xmas” , a new album by ELVIS COSTELLO & THE IMPOSTERS called “Look Now” on CD and LP and also Deluxe 2CD and Deluxe 2LP… Getting well reviewed this Costello record is. Uni also have a lovely 4CD box set of THE COCTEAU TWINS “The Fontana Years”. 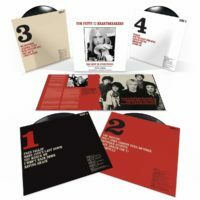 This 4-CD set brings together the two albums the band recorded for Fontana along with B-Sides, EP’s, Radio One sessions and the odd rarity. 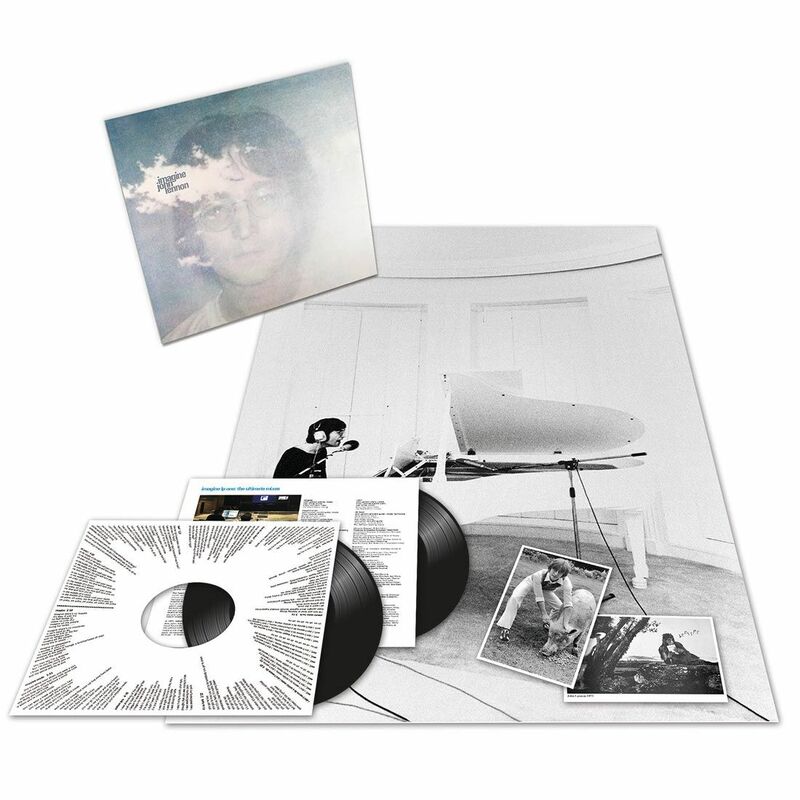 The set was mastered at Abbey Road from the original tapes and approved by Robin Guthrie. 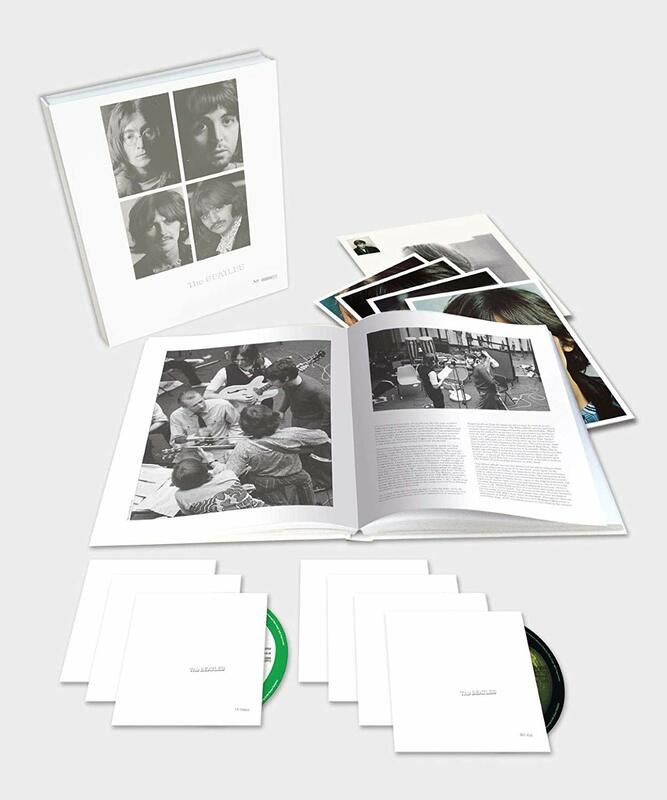 Housed in a study box designed by James Issacs – the booklet contains photos a discography from the era as well as a sleeve note by noted author Chris Roberts. Synthesis Live is a new Live visual by EVANESCENCE on DVD and BLURAY, new album also out by ATREYU, as well as LP reissues by RED HOUSE PAINTERS “Songs For A Blue Guitar”, AMY WINEHOUSE “Back To Black” on the Abbey Road half speed master, THE WHO “Live At Leeds” Abbey Road half speed master again, and while we are at it.. SO THIS IS A CHRISTMAS a Double LP of festive favourites… Look may as well get it over and done… MERRY CHRISTMAS EVERYONE. Whilst tonight’s theme has turned so festive on us… We might as well keep going with it and discuss Christmas presents to yer good selves.. Sure ye deserve it…. (I know i’m all always banging on about names for this and names for that… Ye kind folks are my barometer to be honest and especially at this time of the year I need to get in forecasts and orders and stuff… Hence the caps in hands type requests.. A lot of it is temperature taking… And when its hot, its hot and when its not its not..) And this cap been passed around is for one of the greatest albums the world has ever seen I.M.O… So how many of ye are going to treat ye’rselves and the good house MUSICZONE.IE to the deluxe reissue of THE BEATLES “WHITE ALBUM” ? 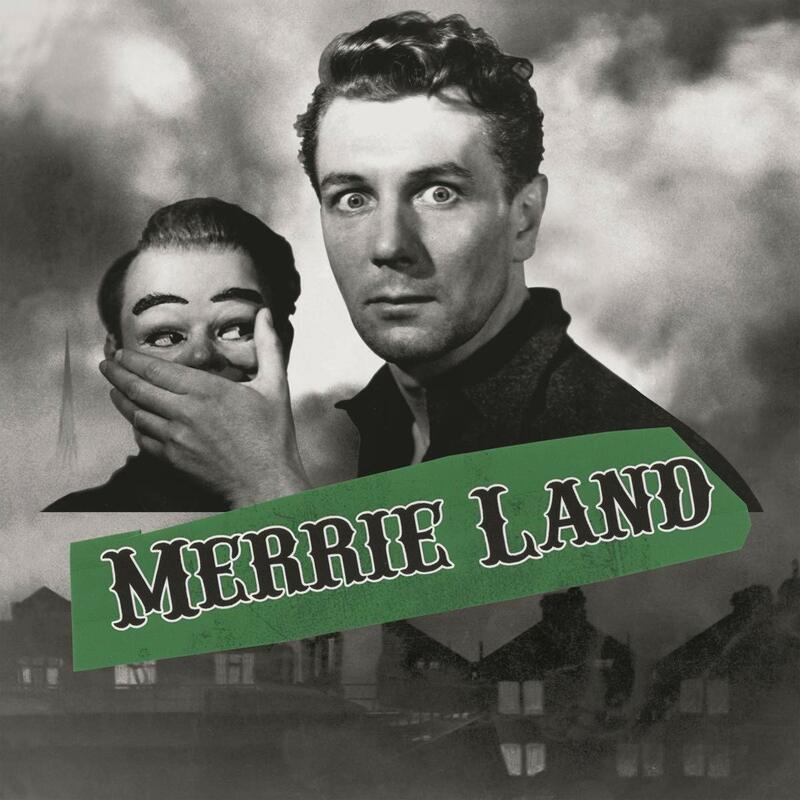 ?… Formats are 3CD : best price 23EUR, 2LP : best price 44EUR, 4LP : best price 93EUR, and 4CD/2 BluRay Boxset : best price 135EUR.. We will as always gladly take ye’r orders and ye’r wives/ husbands money for your christmas present… An easy fix from SATAN.. Sorry SANTA I meant. Here’s more info on the release.. Thanks for those… More caps next week for stuff from Satan sorry Santa. PIAS for the 12th have a nice few releases including JOHN GRANT’s new record “Love is Magic” on CD, DLP or deluxe indies only DLP… Clear vinyl gatefold, 16 page lyric booklet, 24 page photo booklet, all via bella union. New KURT VILE record also out on the 12th of OCT called “Bottle It In” on CD or indies only double blue vinyl. New CDs and LPs also out by DONNY MCCASLIN (I used the Blackstar gag once to often as it was, and also I don’t want any nice fella pulling out of a Bowie box-set on me) who is in the everyman over the jazz weekend… And JIM JAMES has another new album, “Uniform Clarity”…. Companion album to “Uniform Distortion”, and lastly new album out from Pias for the 12th would be the new JOHN HIATT “The Eclipse Sessions” on indies only metallic silver and white split splatter vinyl (i’ll be on with Dermot Bannon next).. PROPER for the 12th of Oct has some LAURA VEIRS reissues on LP or CD. MUSIC ON VINYL for the 12th of Oct have the reissue of MUDHONEYs “Tomorrow Hit Today” on LP. The Orchard have the new COLTER WALL album “Songs Of The Plain” on CD and LP. SONY for the 12th have PRIMAL SCREAM “Give Out But Don’t You Give Up : The Original Memphis Recordings” on CD or LP… Same songs kind of but a different record from the one you know. Reissues on LP by SYSTEM OF A DOWN including “Toxicity” and the debut album by GLASVEGAS. THE FALL album above is on orange vinyl… I found it amusing…. You write a 1200 or 1300 word yoke every week… Or one finger type it, even worse, and try and stay amused… Ala Joe Pesci..
Nice little link here came my way today… Thank you Joseph… The Bonovox of U2 had a few nice words for one of our own… Have a watch here.. I was supposed to go way for the weekend with 5 lifelong friends but thats gone on the backburner for now… But there’s a flipside because one of my favourite Cork bands are playing in the Siopa tomorrow SAT @ 1PM… THE BURMA are back with some new cracking tunes… These boys are great, and also sound as a pound… Try get in to us if you are around… Tomorrow at 1! Sin e for this week.